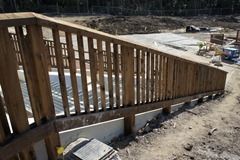 A multi-faceted job for a great client. 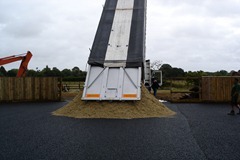 Awkward access meant all materials had to be tipped offsite and ferried in on tractors and trailers. The end result looks great though. 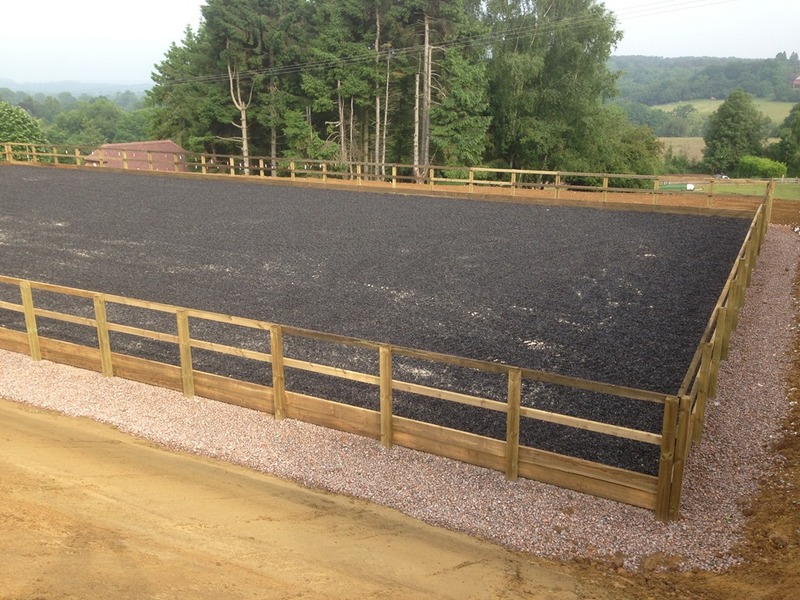 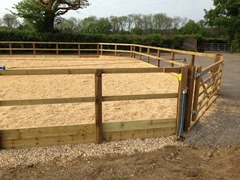 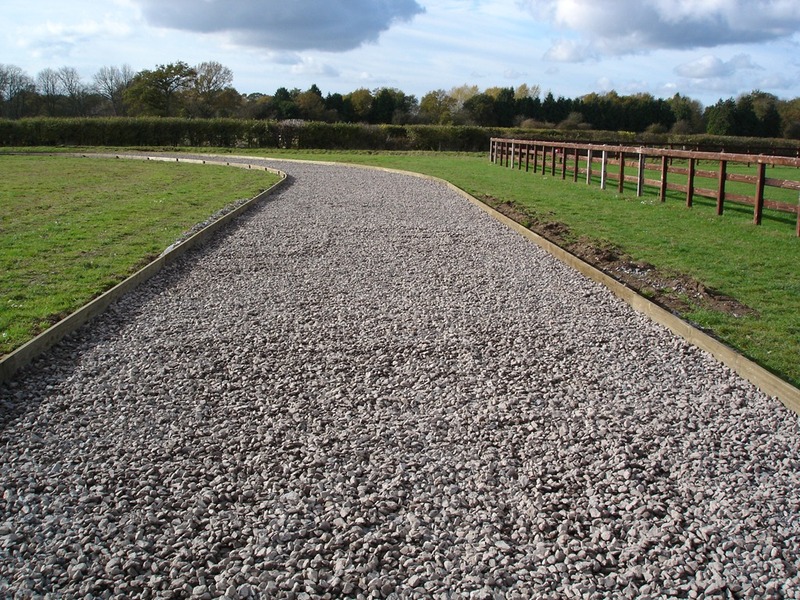 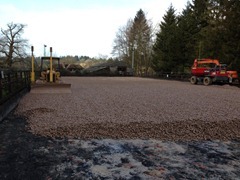 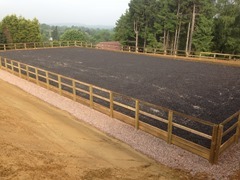 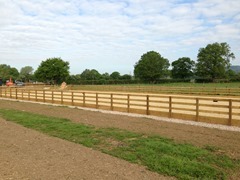 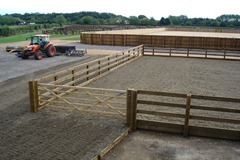 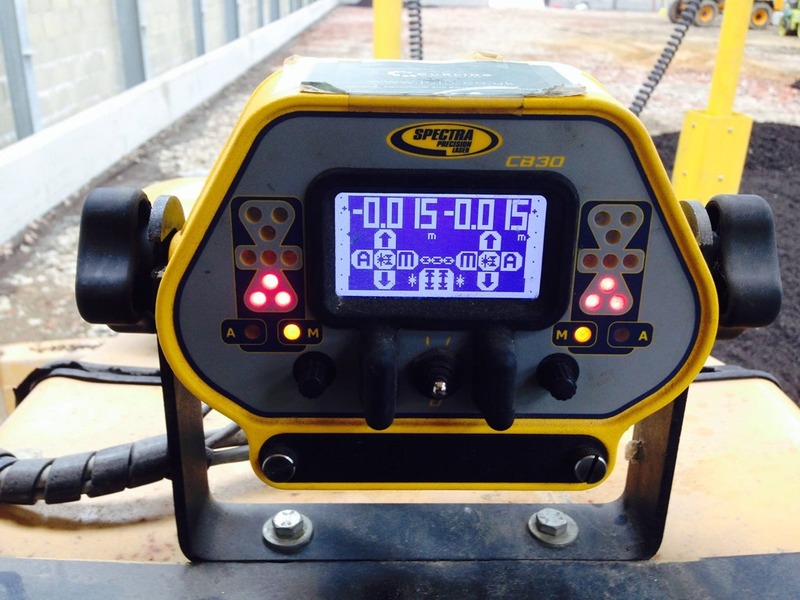 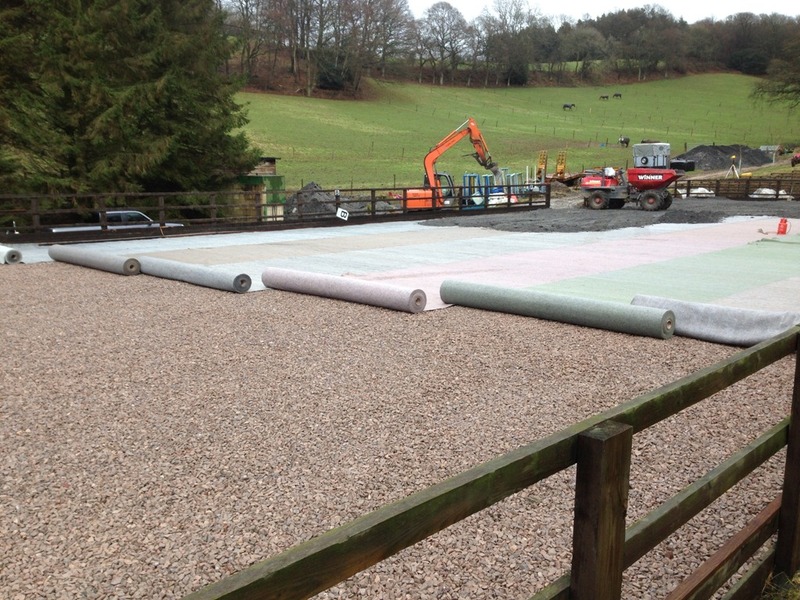 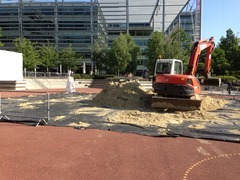 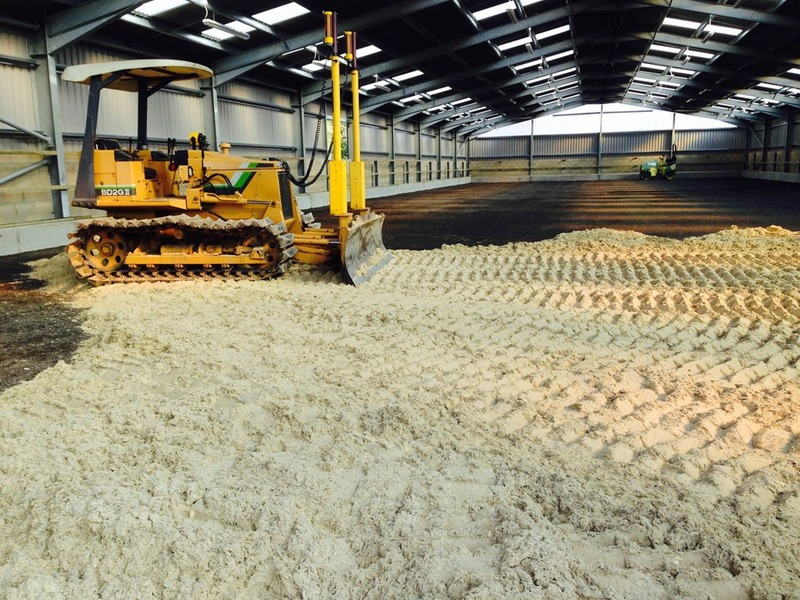 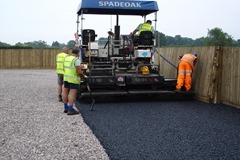 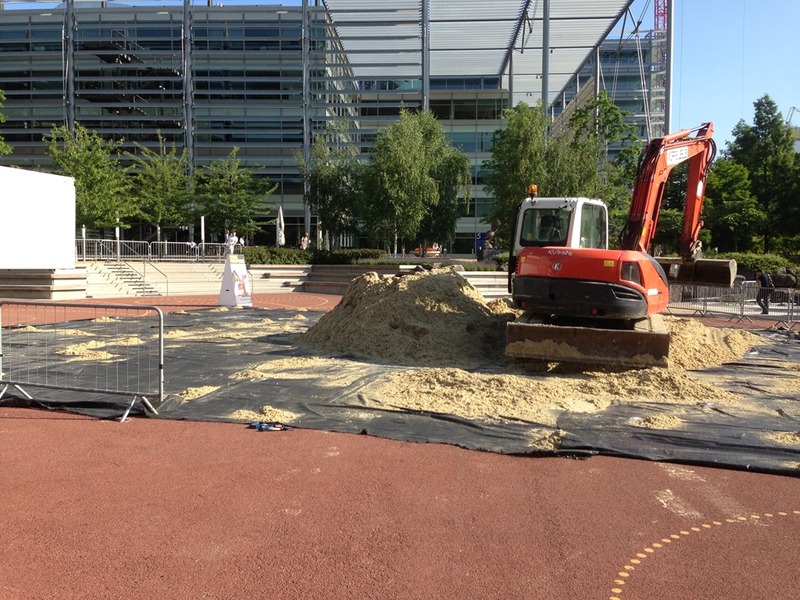 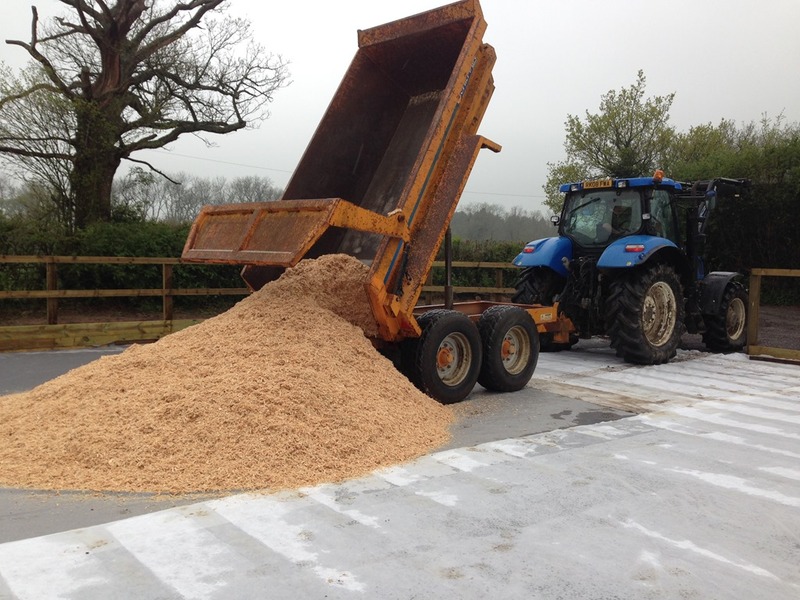 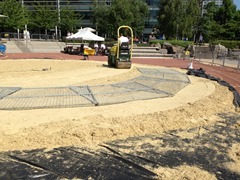 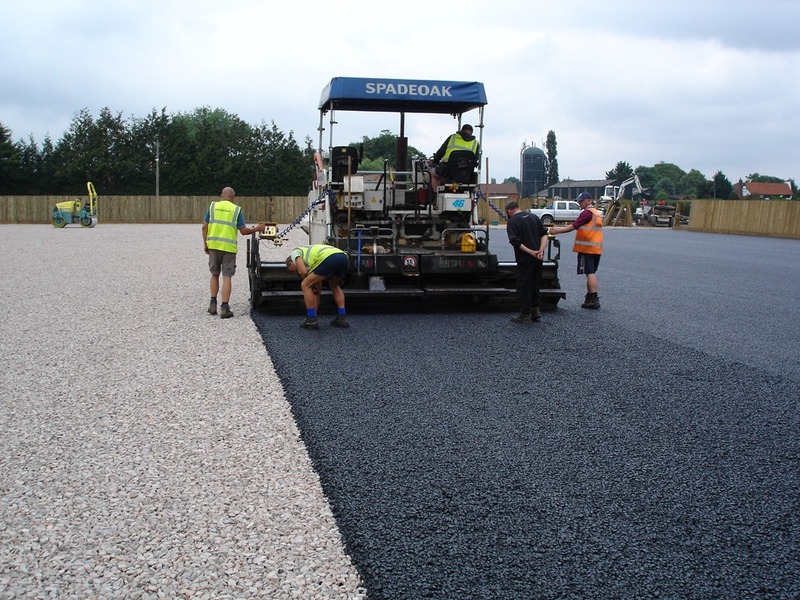 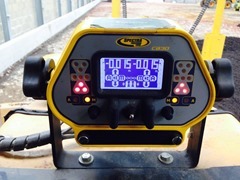 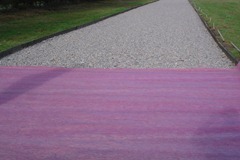 Crushed asphalt and Waxed Surface from Day Equestrian chosen by client and laid by us with our laser control dozer. 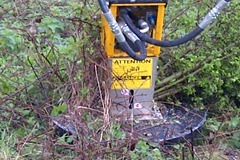 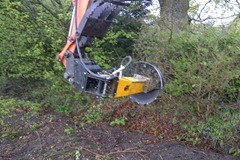 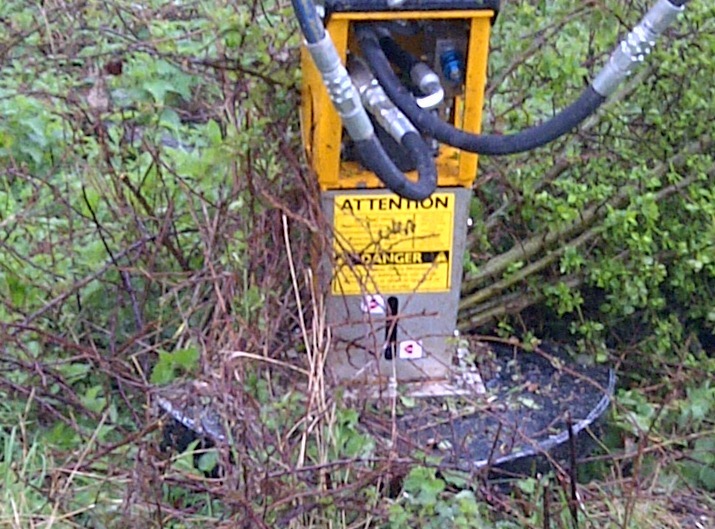 Power harrowed and rolled ready for immediate use. 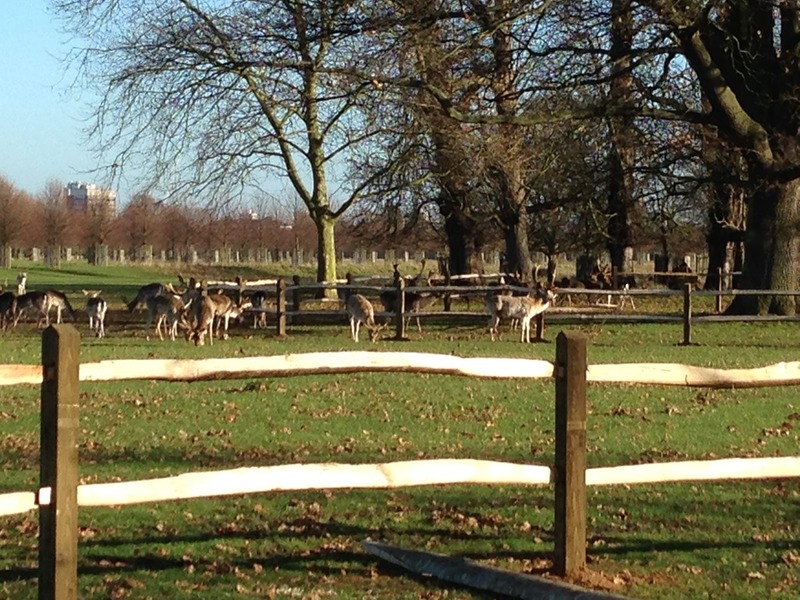 Always a pleasure to work at Hampton Court. 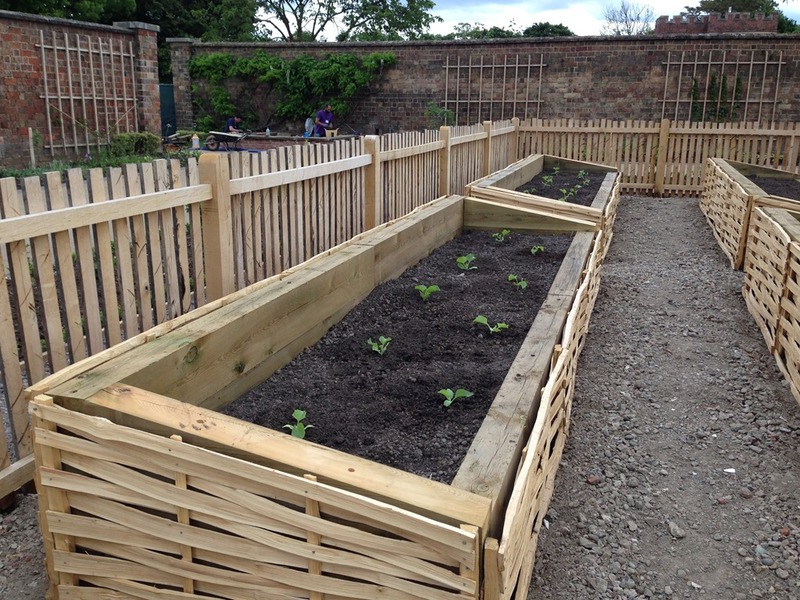 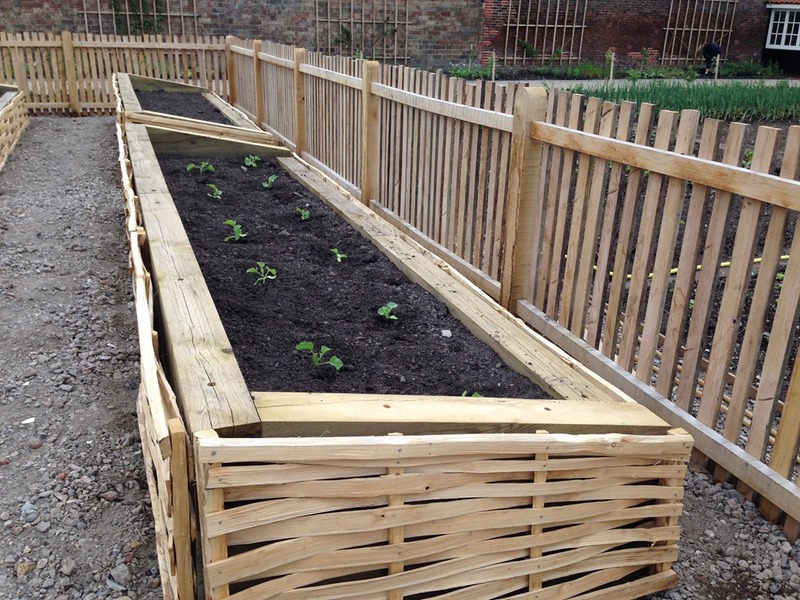 Here we have been fencing in the park around ancient trees and in the newly renovated Kitchen Gardens around the melon grounds. This was a great job for lovely clients. 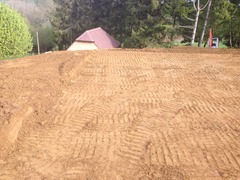 A big cut and fill was required and the end result gives the impression of an infinity manege!! 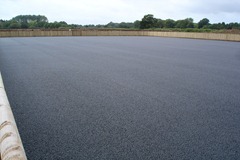 Finished with silica sand and rubber fibre. 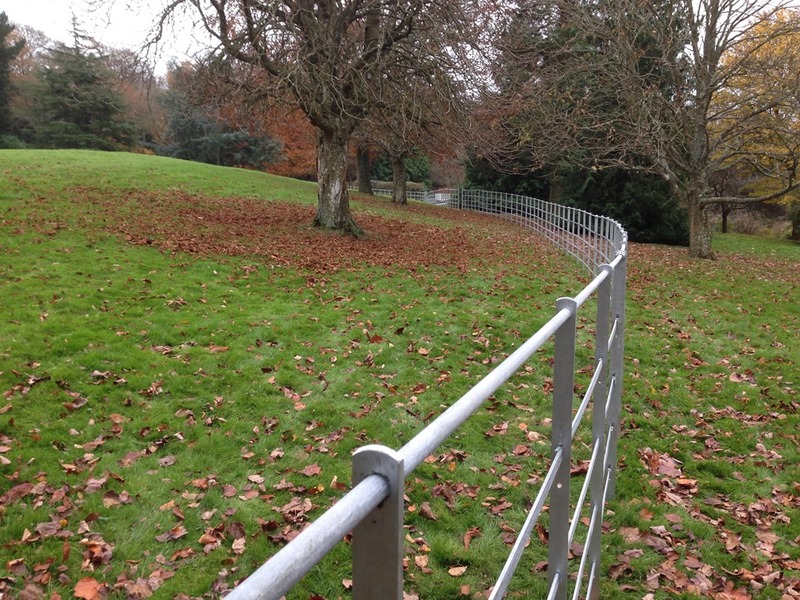 200 metres of 1200mm high estate railing. Left galvanised and unpainted. 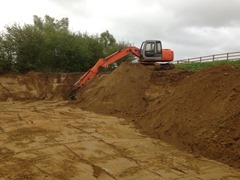 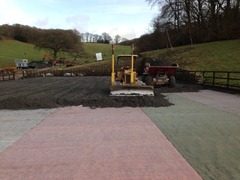 A really unusual one (long) day job supplying, laying and removing surface for a round pen for a horse whispering demonstration. 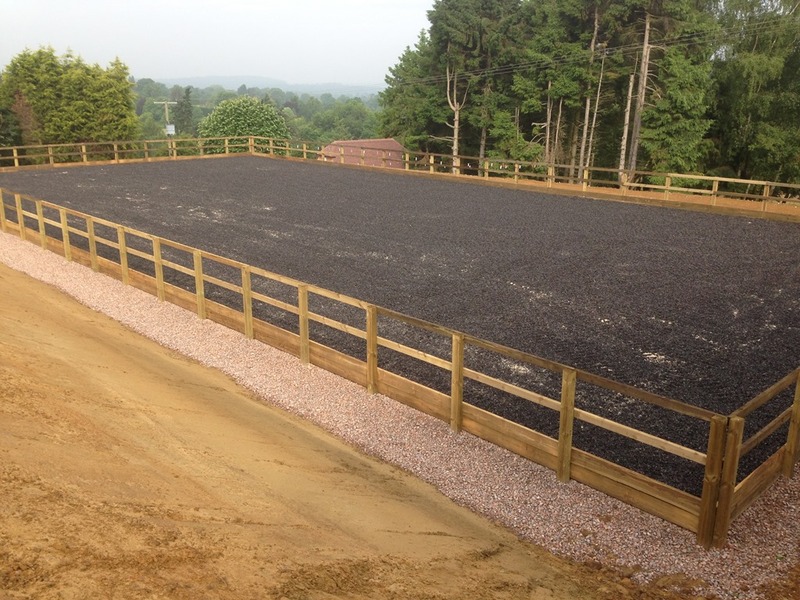 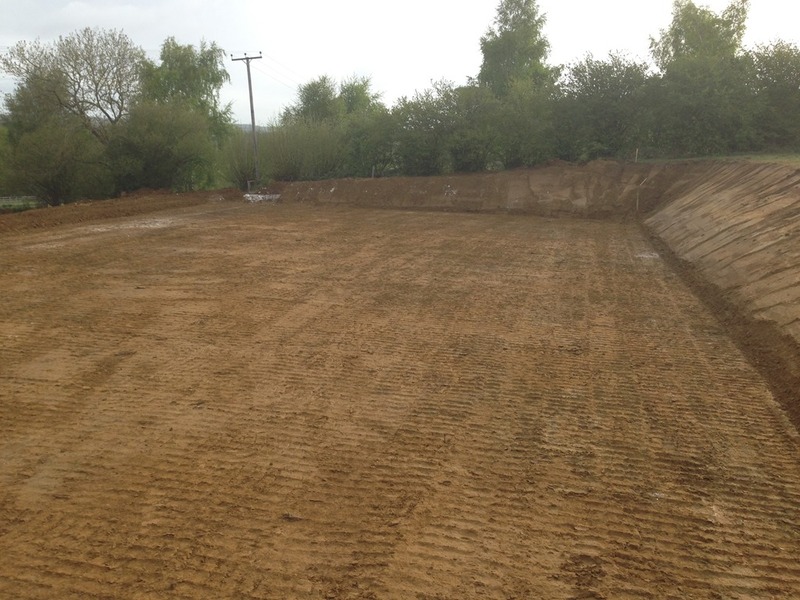 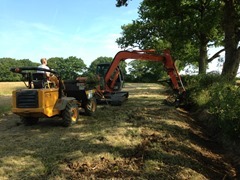 In preparation for the next stage of Horse Net and Electric fencing we carried out a further 2km of clearance works for Breen Equestrian. 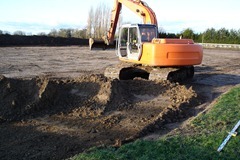 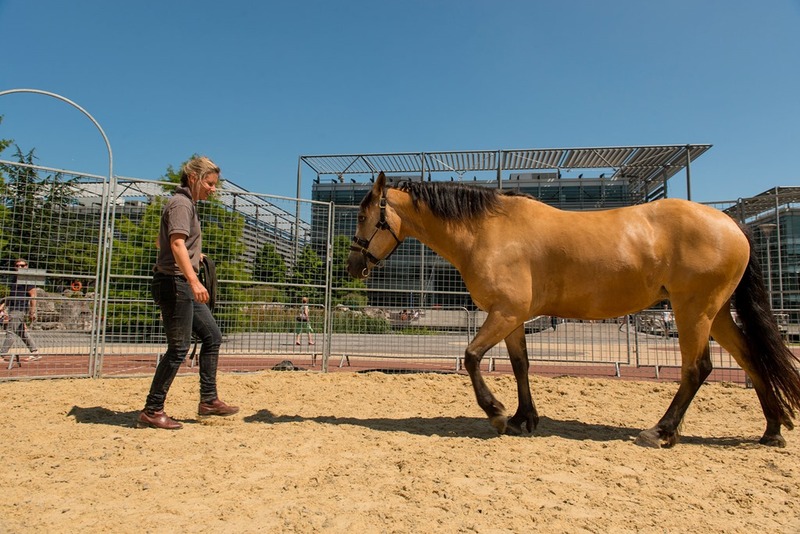 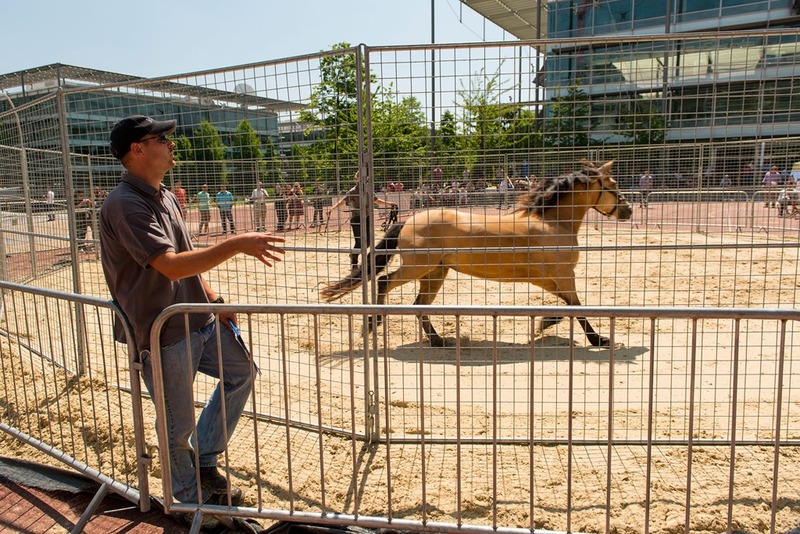 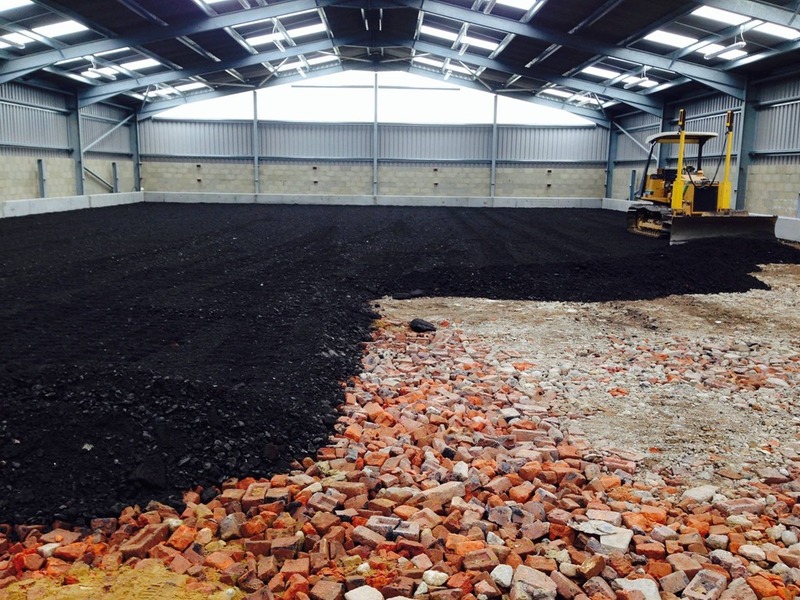 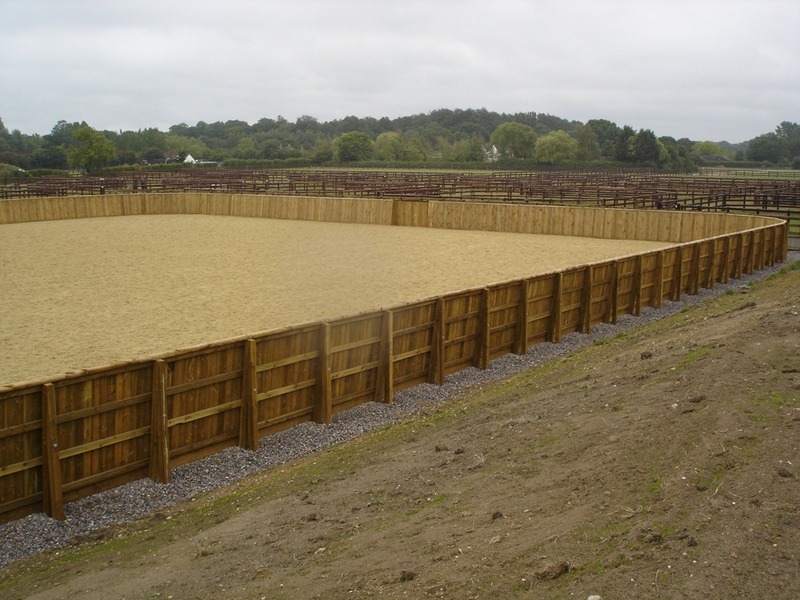 Our client approached us to rescue his arena, which wasn't so much neglected as poorly constructed in the first place. 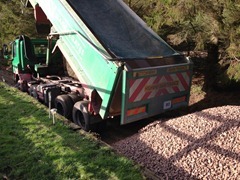 An all too common occurrence unfortunately and one which we can solve with the correct approach, materials and machinery. 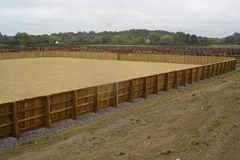 This arena suffered form a catalogue of problems including lack of membranes, drainage and drainage layer. 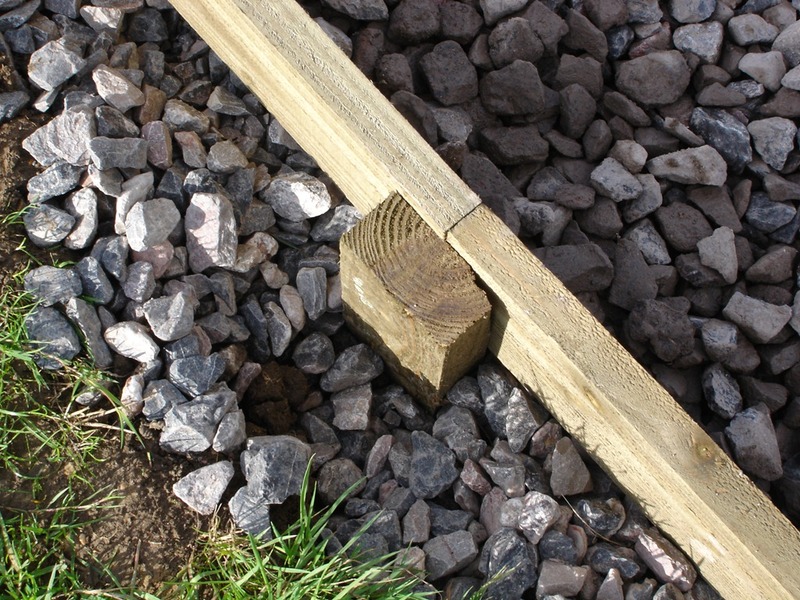 The formation layer was uphill and down dale and the surface consequently varied in depth from 25mm to 200mm. 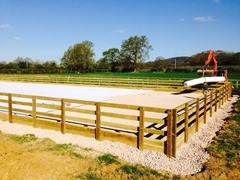 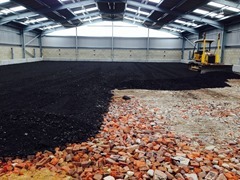 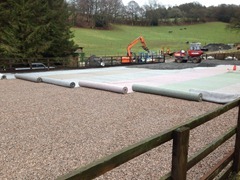 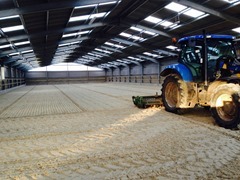 New drains, carboniferous limestone drainage layer, heavy duty flame welded geotextile and accurate reinstatement of the old surface gave this arena a burst of new life and the client, in his own words "a new office to work in". 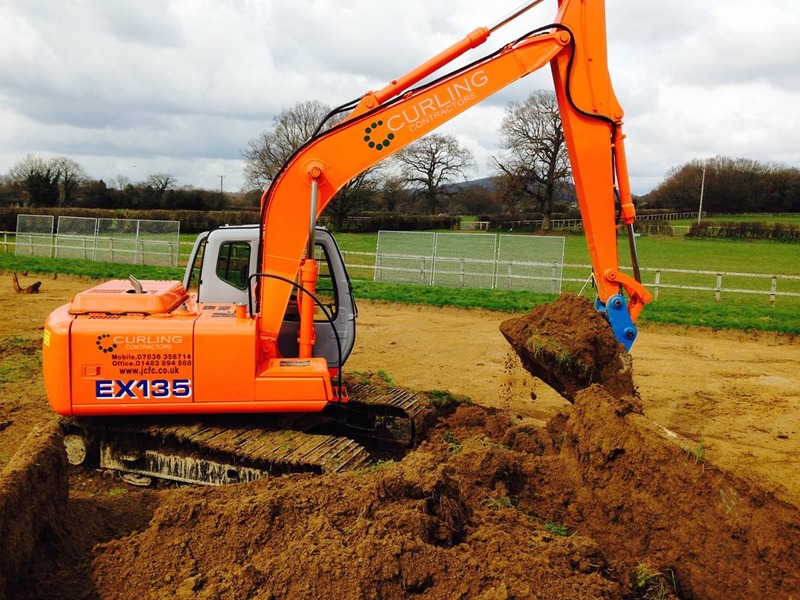 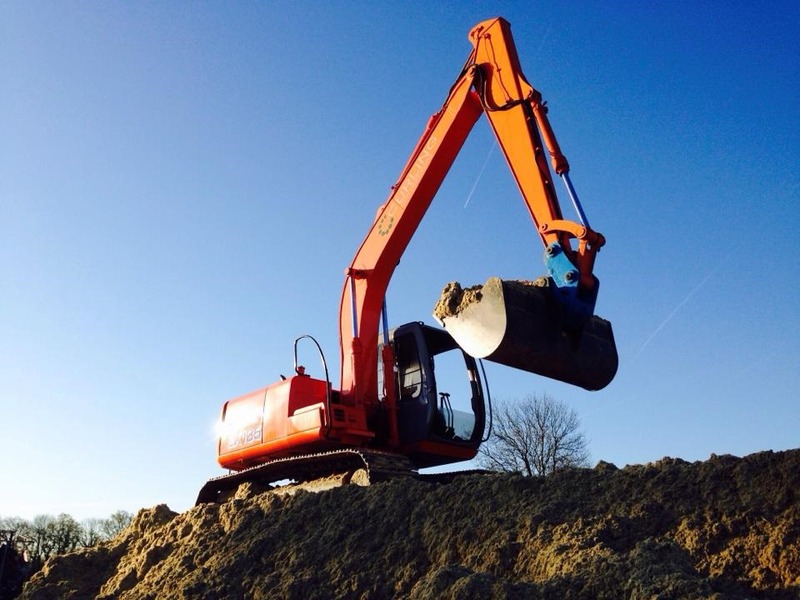 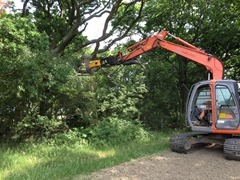 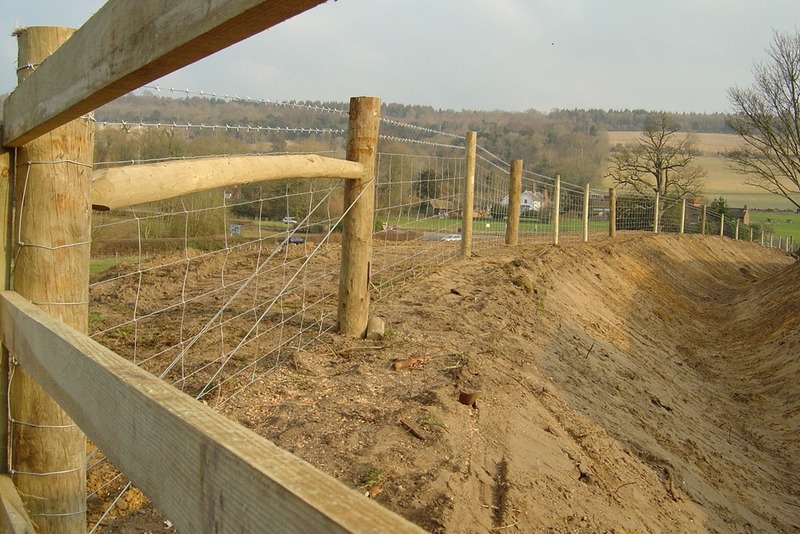 3000 metres of clearance works using our excavator mounted saw head, 300 metres of two strand electric fencing and two hundred metres of cleft post and rail fencing. 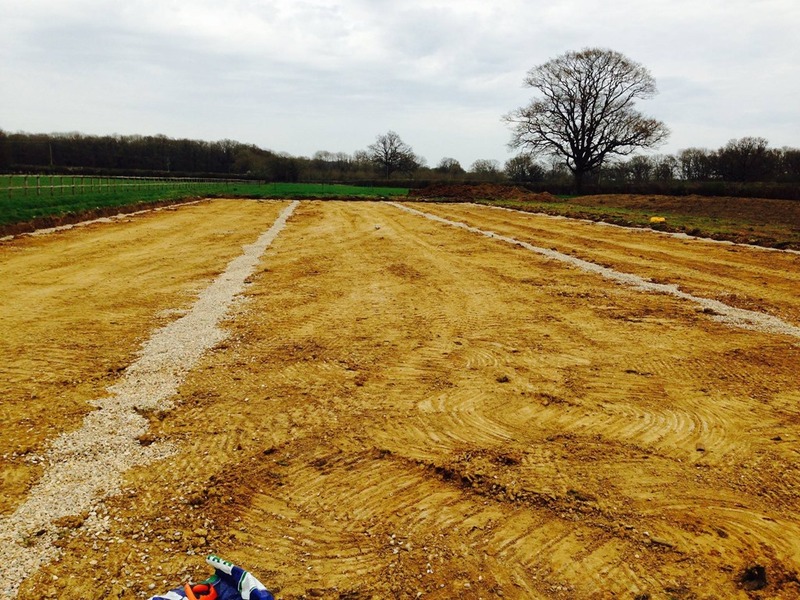 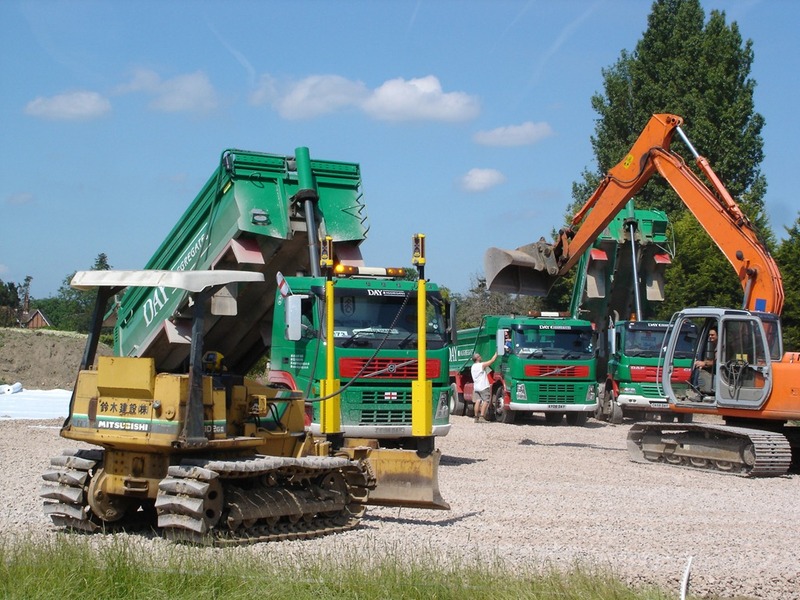 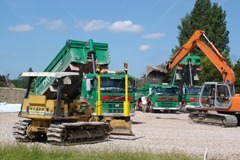 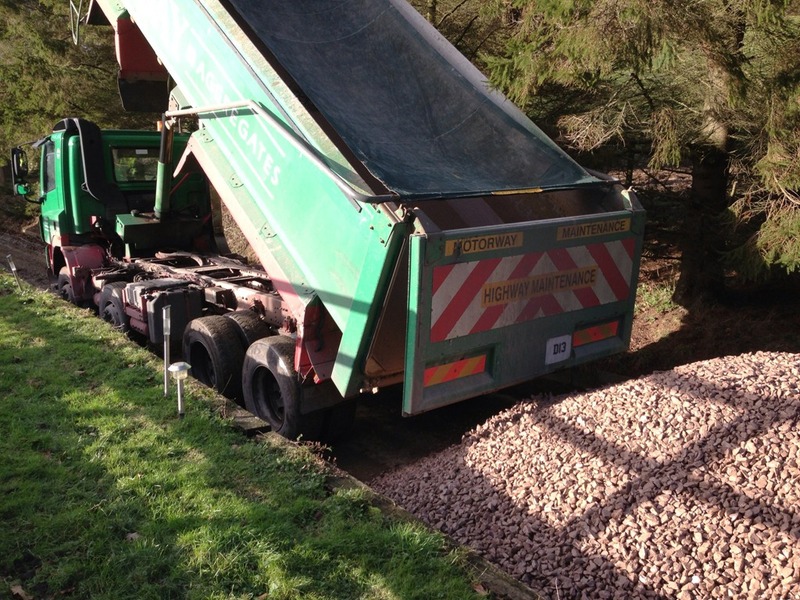 Timber in ground contact treated to Use Class Four (Highways Agency) for a 30 year Desired Service Life. 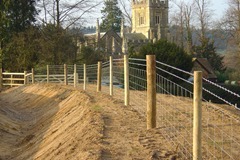 A considerable length of acoustic barrier erected for a client in Cobham. 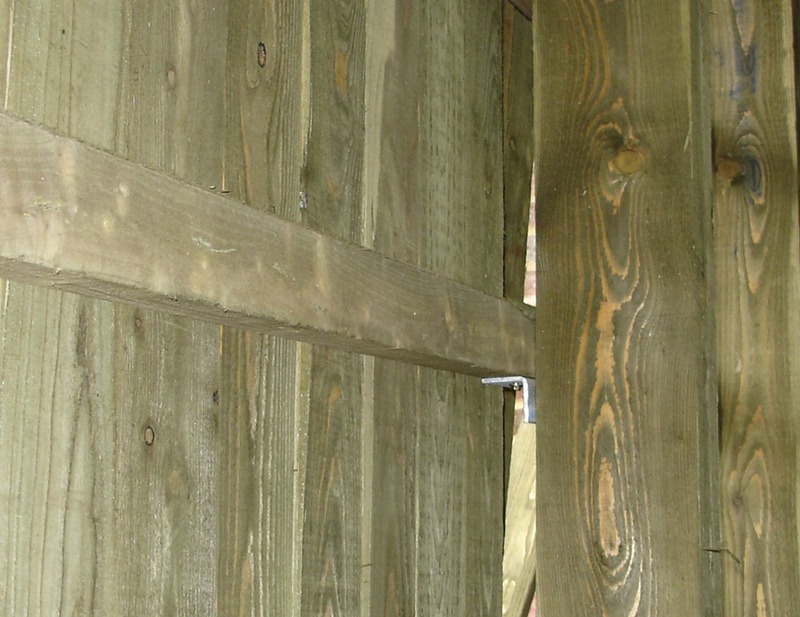 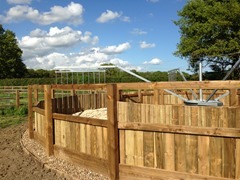 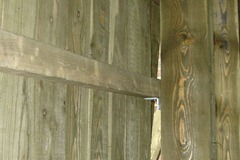 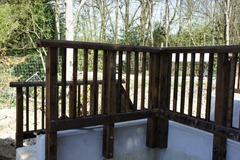 Heavy duty timber posts were used to cope with the wind loading. 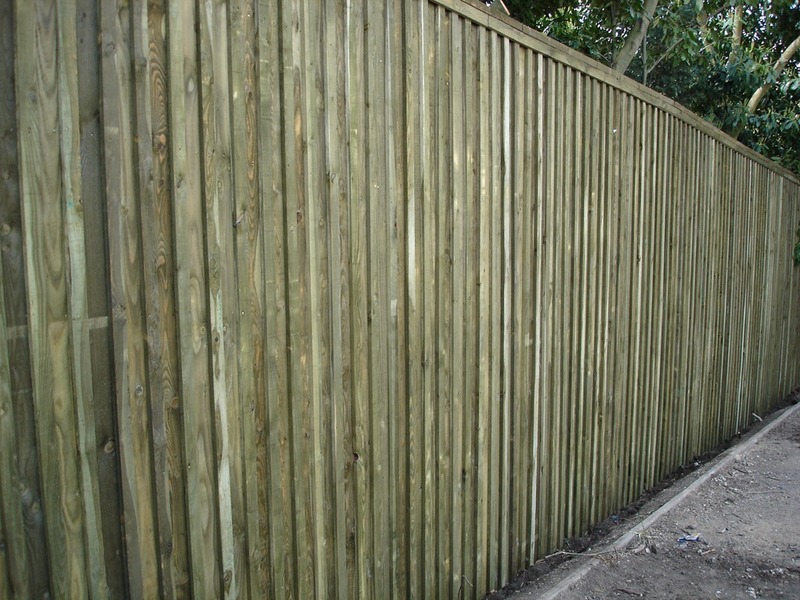 The fence has a mass of 11.66kg/m2. 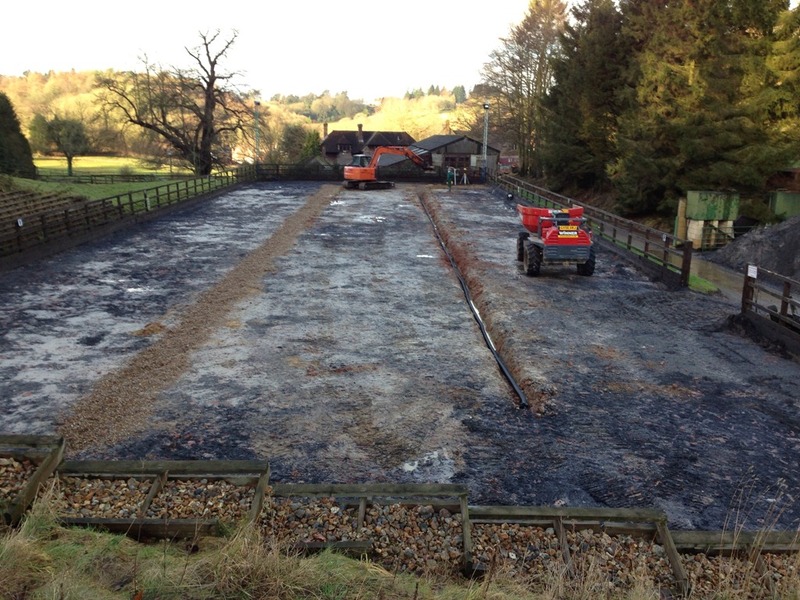 Timber in ground contact treated to Use Class Four (Highways Agency) for a 30 year Desired Service Life. 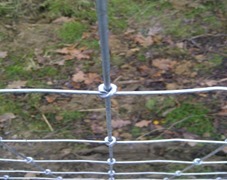 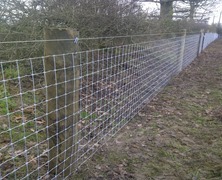 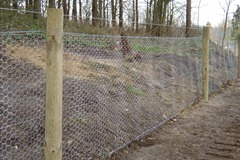 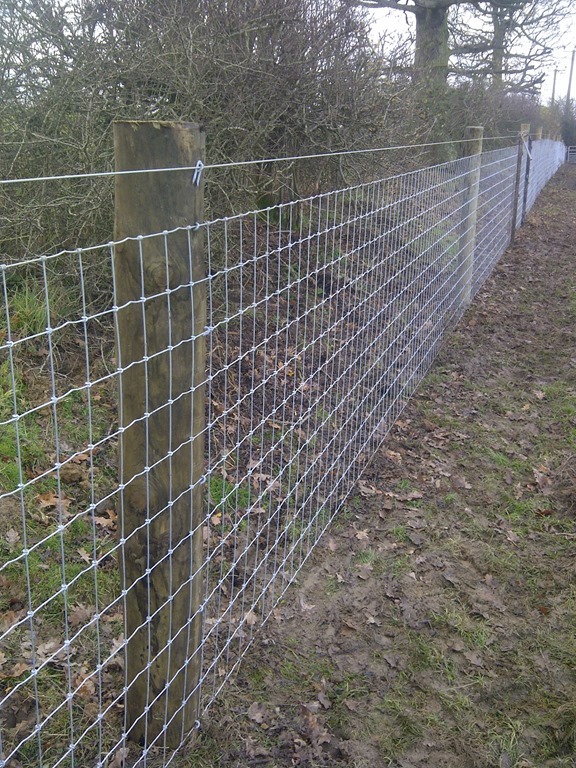 1800 metres of stock net fencing with rabbit net attached. 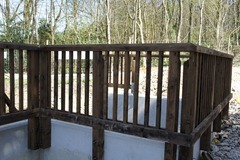 Box strainer assemblies at ends. 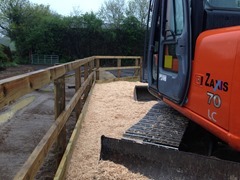 Timber in ground contact treated to Use Class Four (Highways Agency) for a 30 year Desired Service Life. 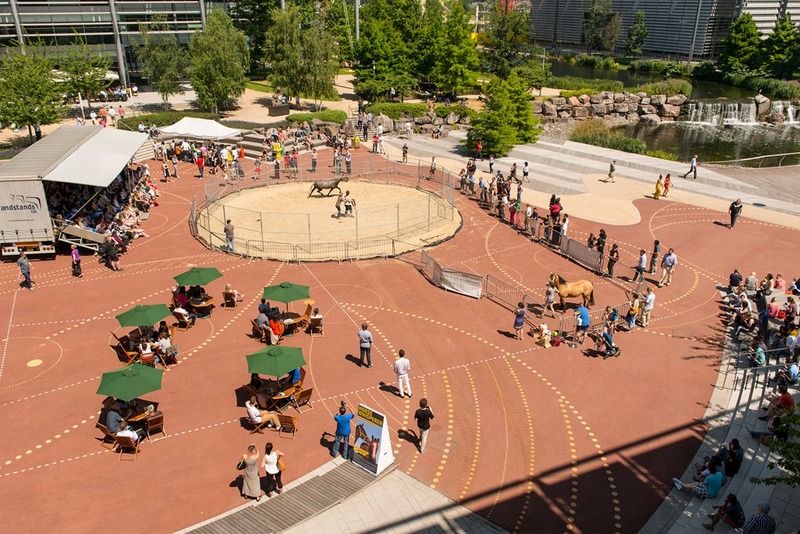 The supply and construction of a 5000sq.m polo arena, with carboniferous limestone, open graded binder course asphalt, waxed surface and other works. 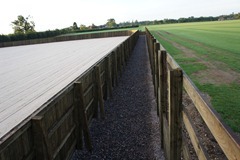 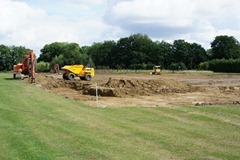 The supply and construction of a 5000sq.m polo arena with a retaining wall running the full length of one side. 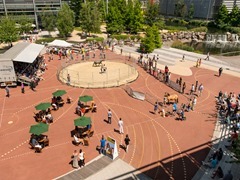 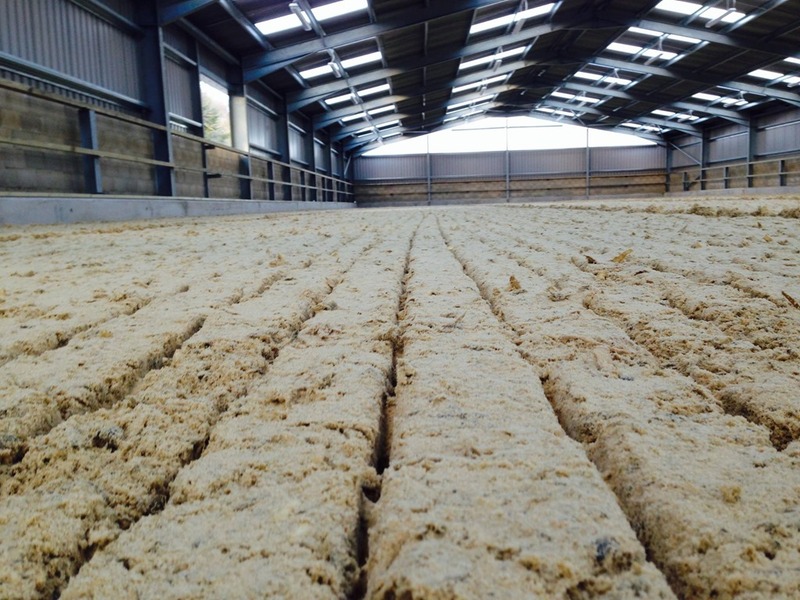 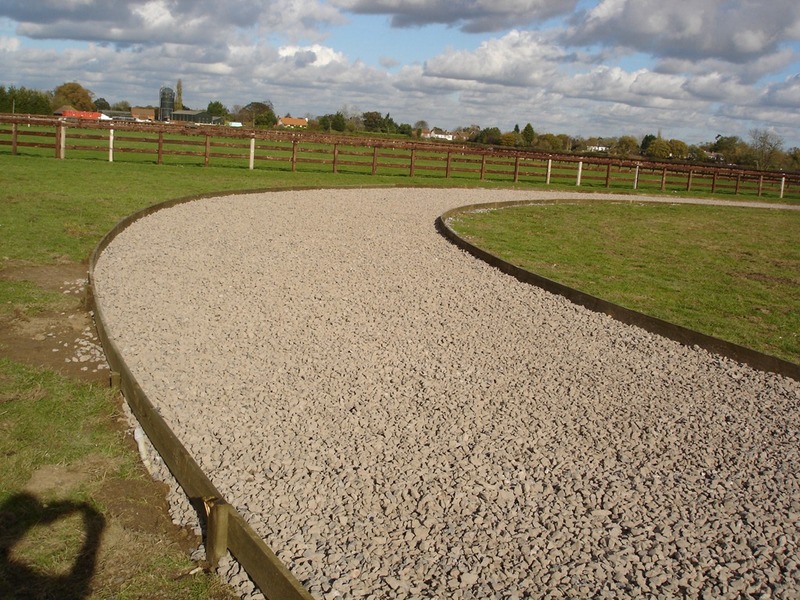 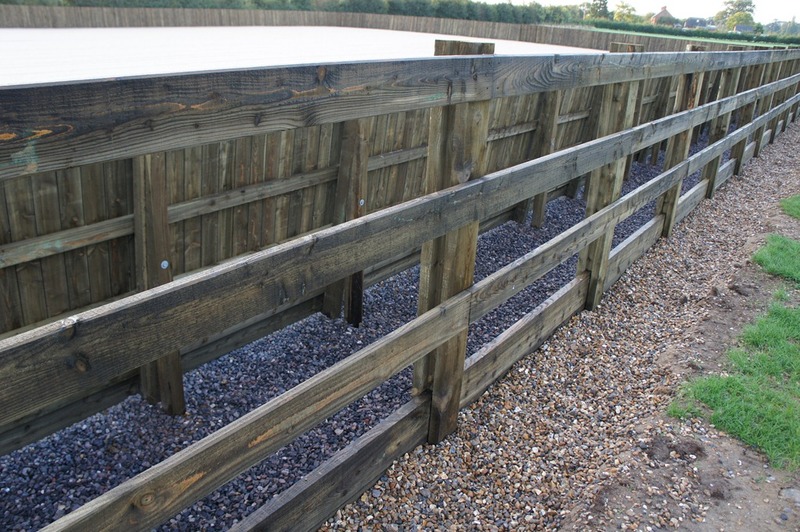 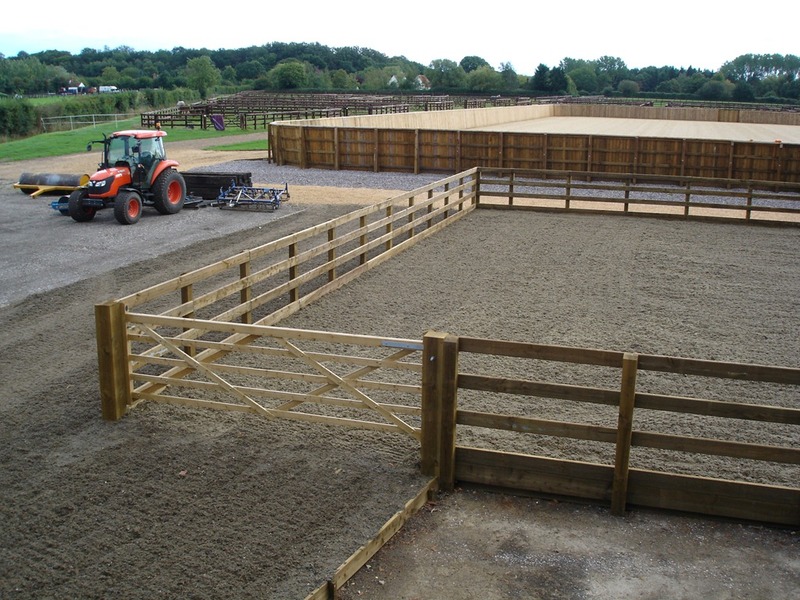 This arena has a 50mm open graded binder course asphalt separation layer between the limestone and surface. 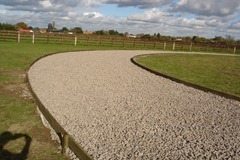 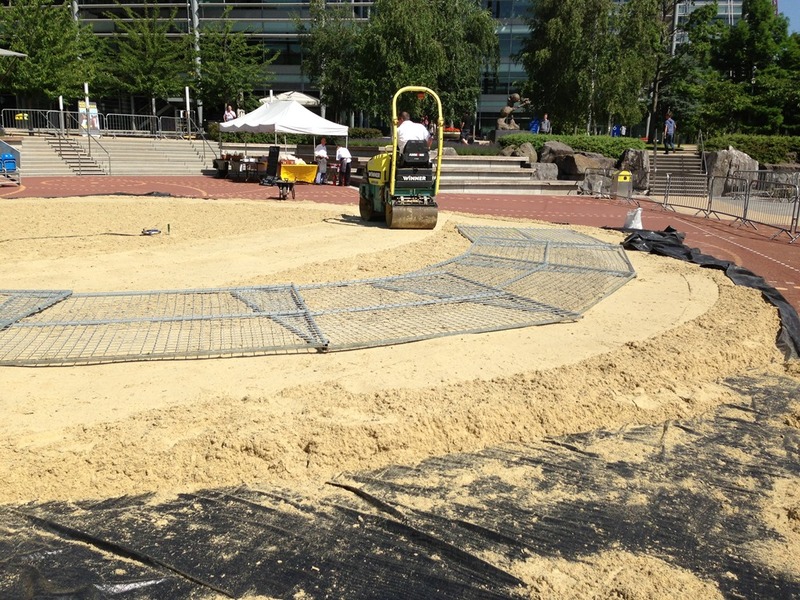 We supplied and constructed this exercise track. 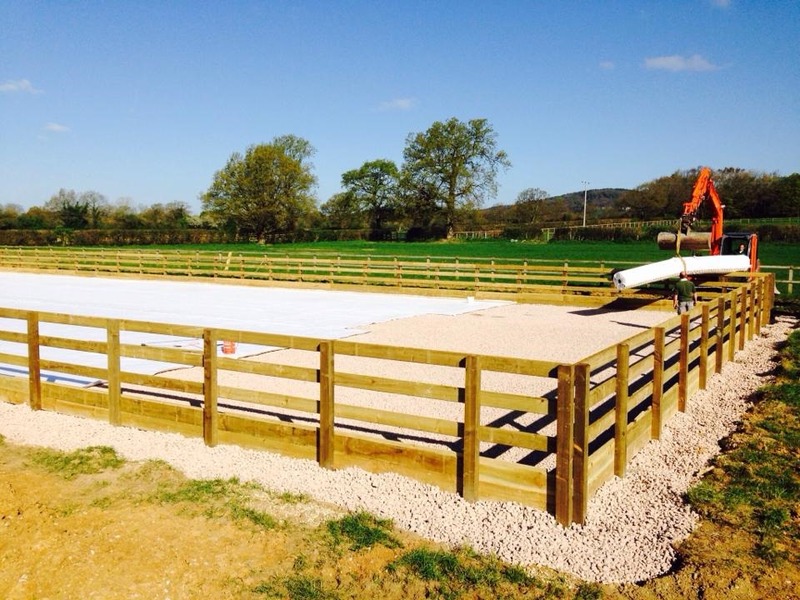 The reduced dig was followed by installation of a central drain, needle punched geotextile membrane, 150mm of 40mm carboniferous limestone, a flame welded 650gsm membrane and 125mm of waxed surface. Edging boards were pressure treated for a 30 year desired service life. 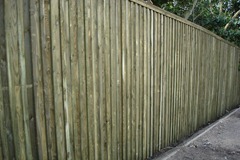 1000 metres of sawn post and three rail fencing in FSC softwood. 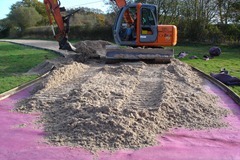 Treated to Use Class Four (Highways Agency) for a 30 year Desired Service Life. 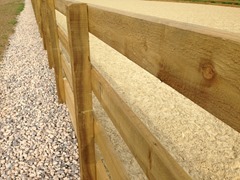 All the softwood timber we supply in ground contact is treated in this way to give maximum peace of mind. 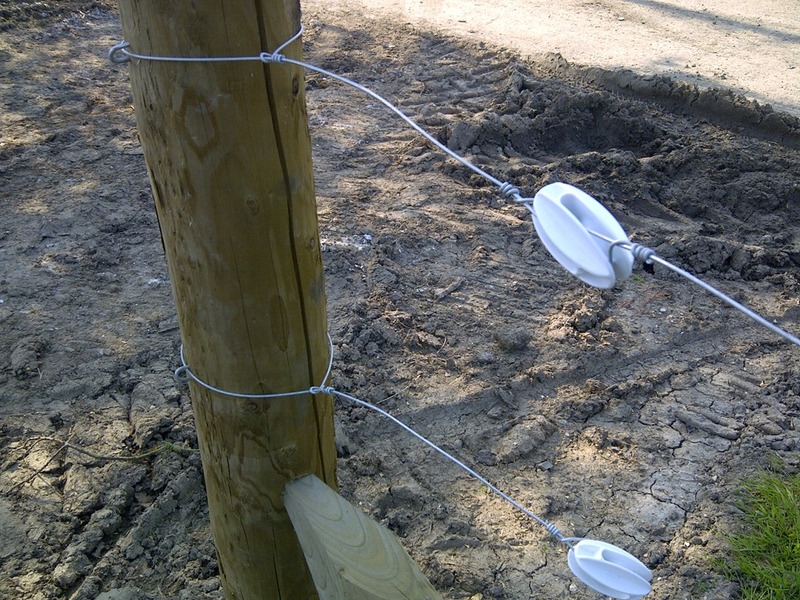 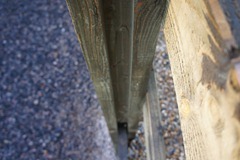 Here posts used are 2100mm x 100mm x 75mm. 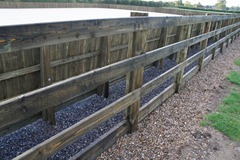 Rails are 3600mm x 100mm x 38mm. Post are driven into the ground. 2000 metres of this post and rail "special". Heavy duty rails 3600mm x 150mm x 38mm chamfered. 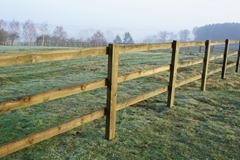 Posts 2100mm x 125mm x 100mm. 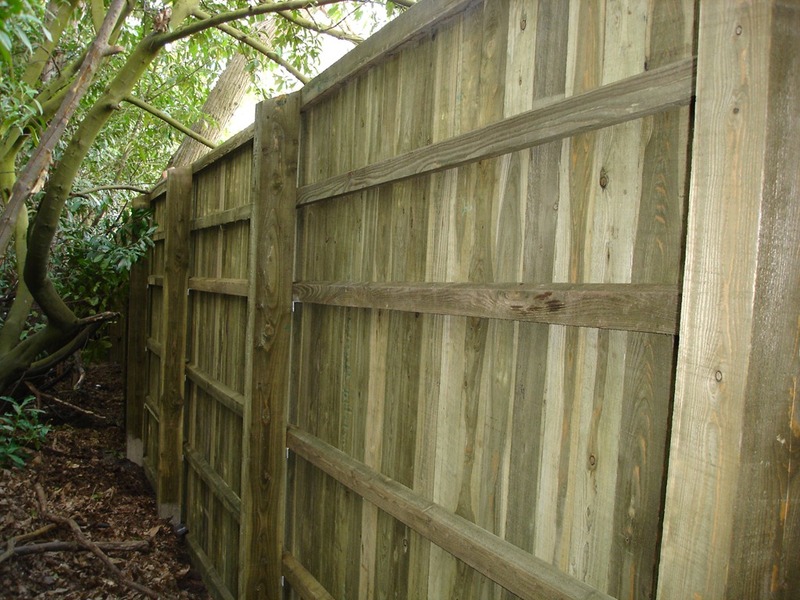 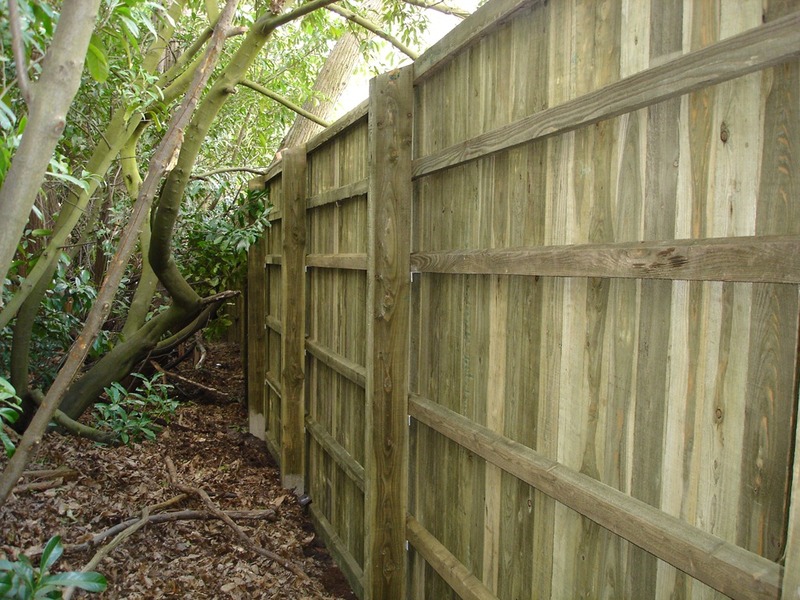 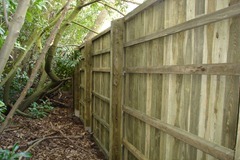 A great fence where style and heavy duty construction really matter. 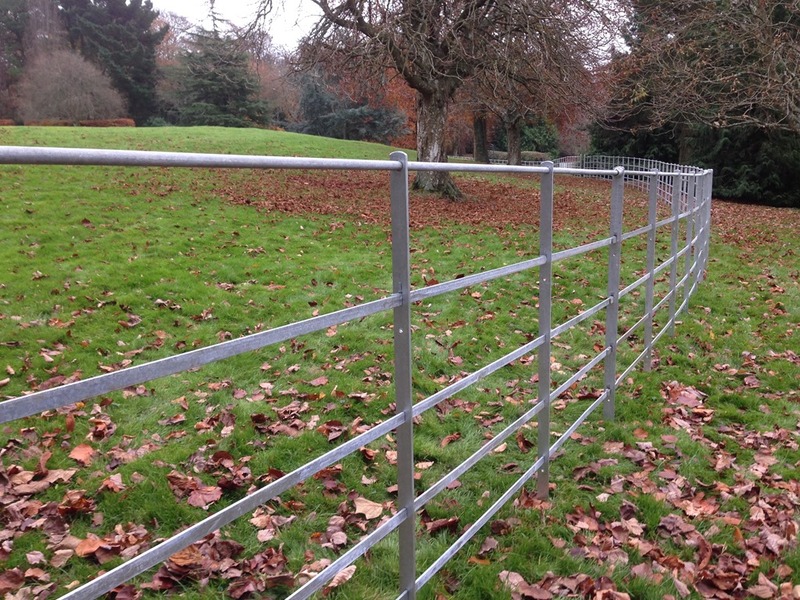 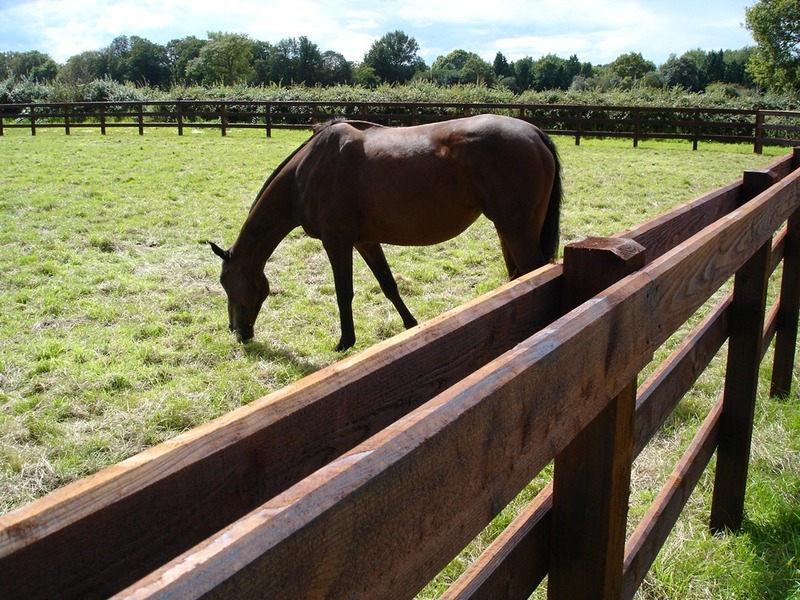 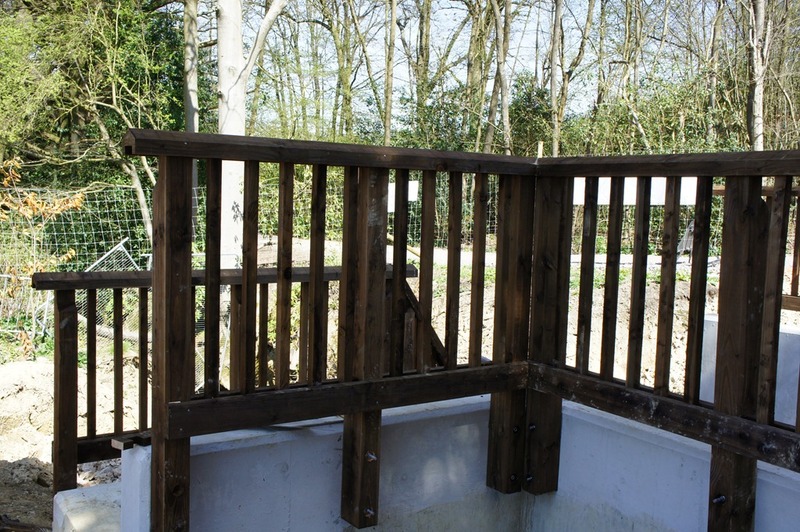 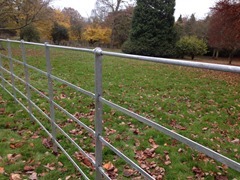 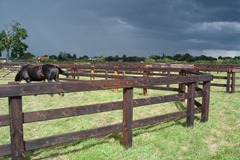 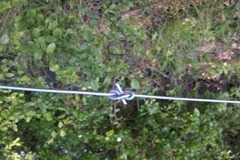 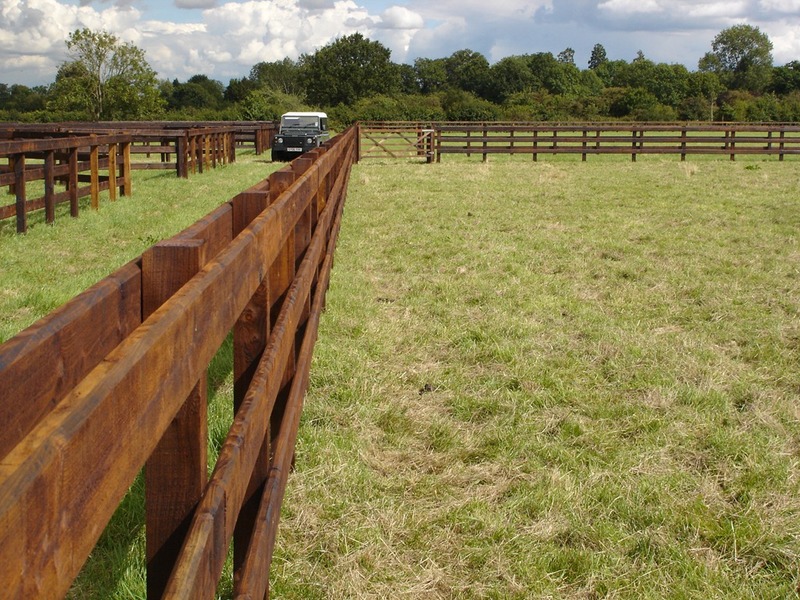 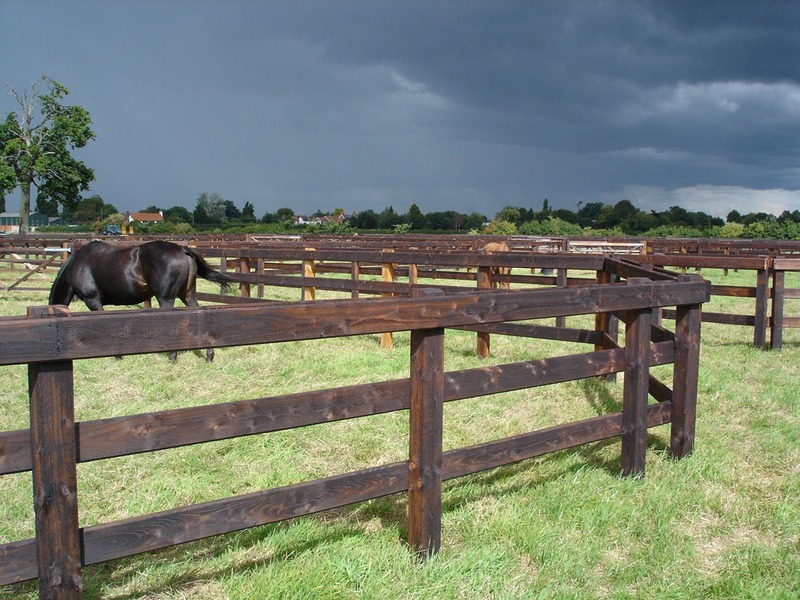 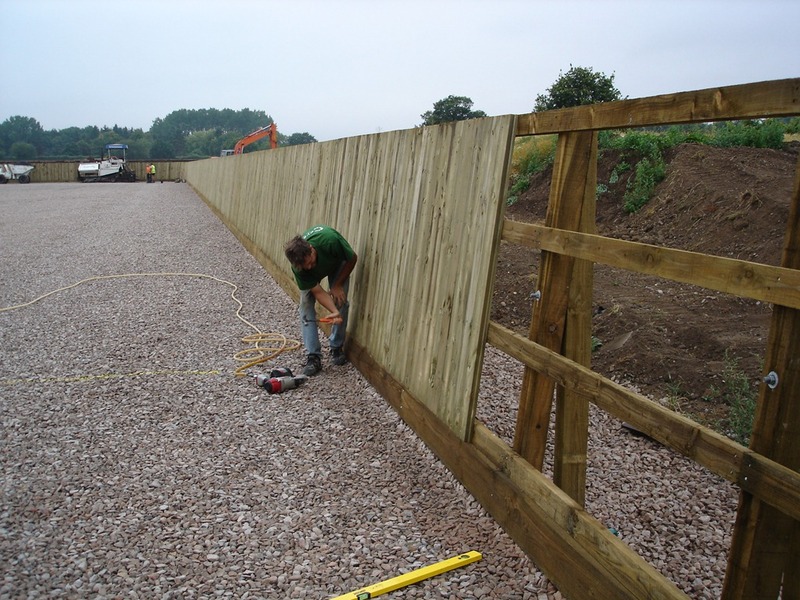 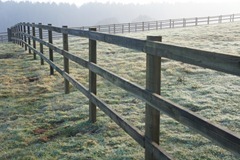 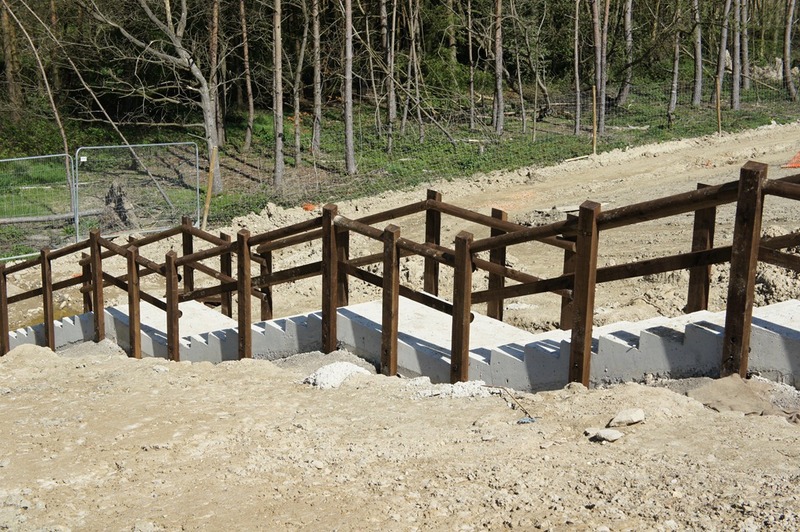 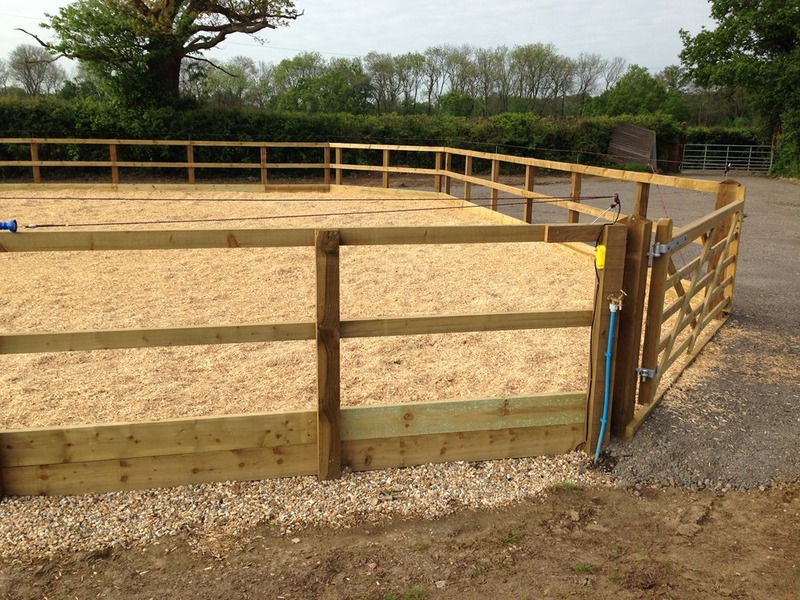 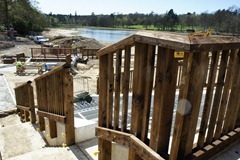 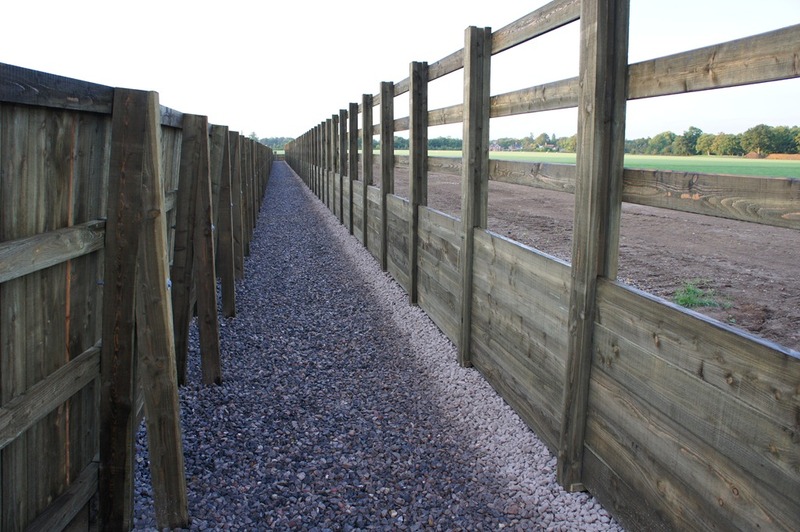 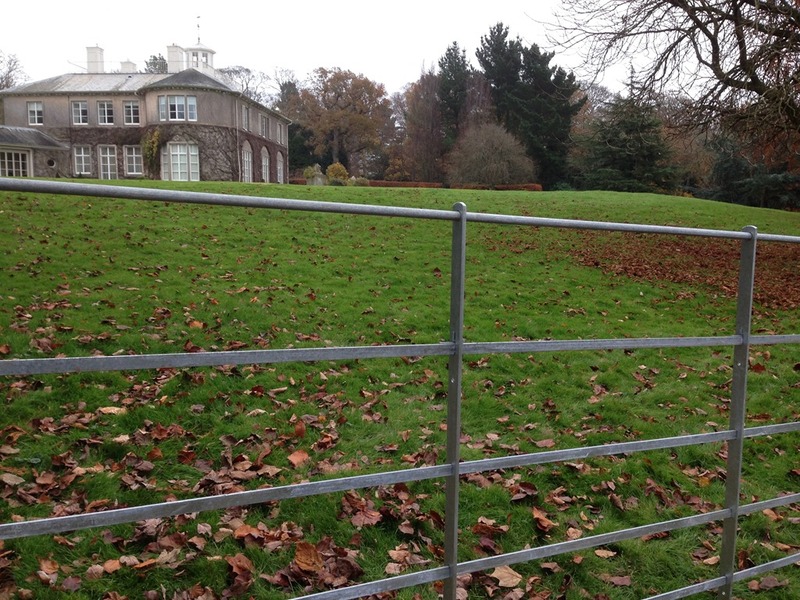 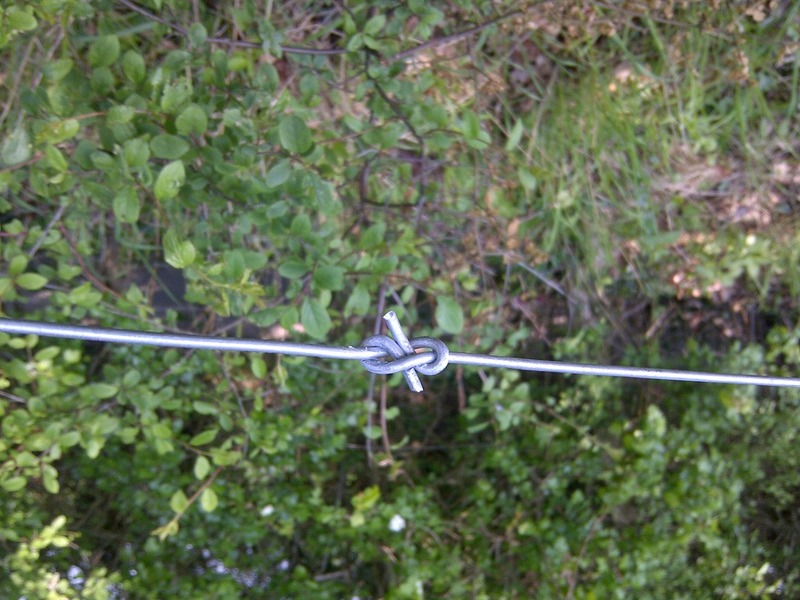 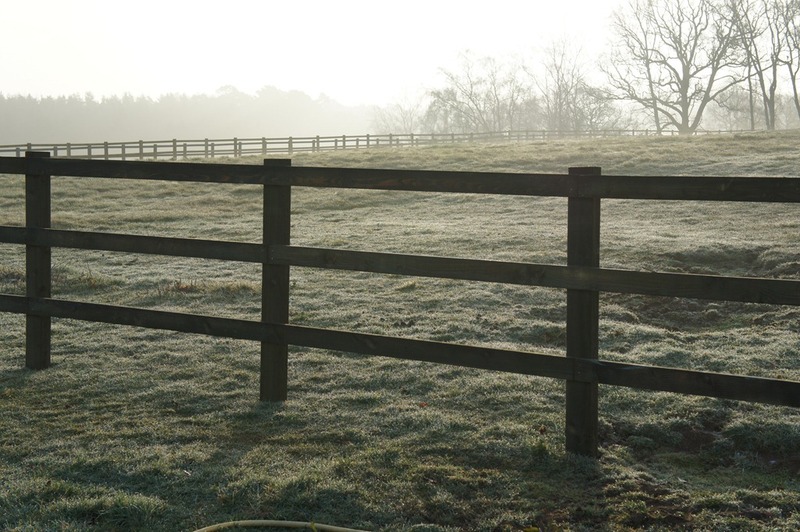 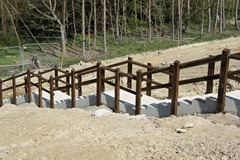 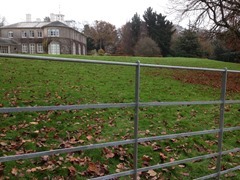 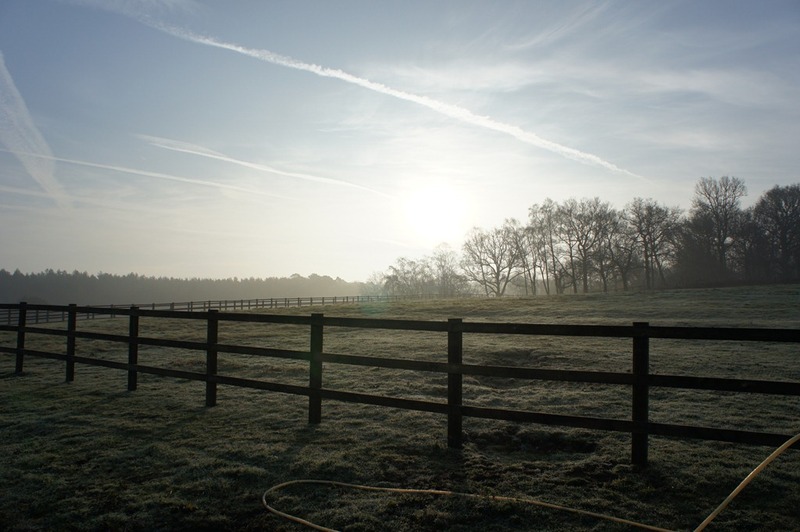 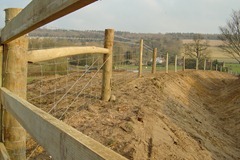 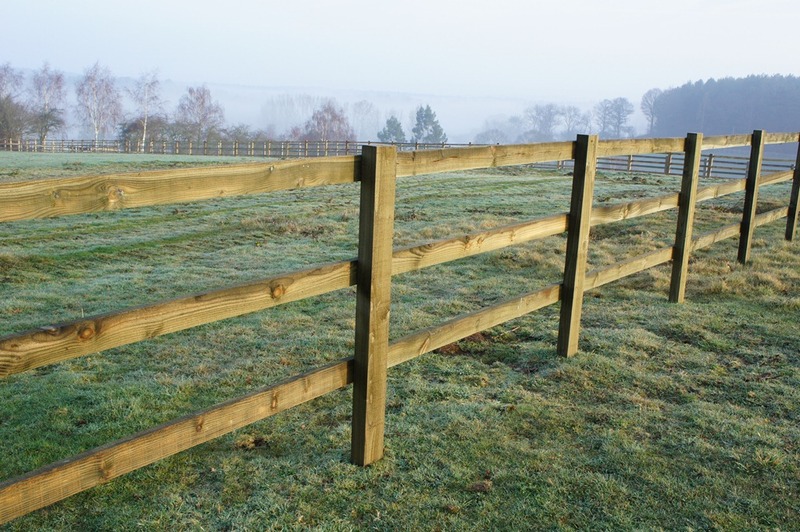 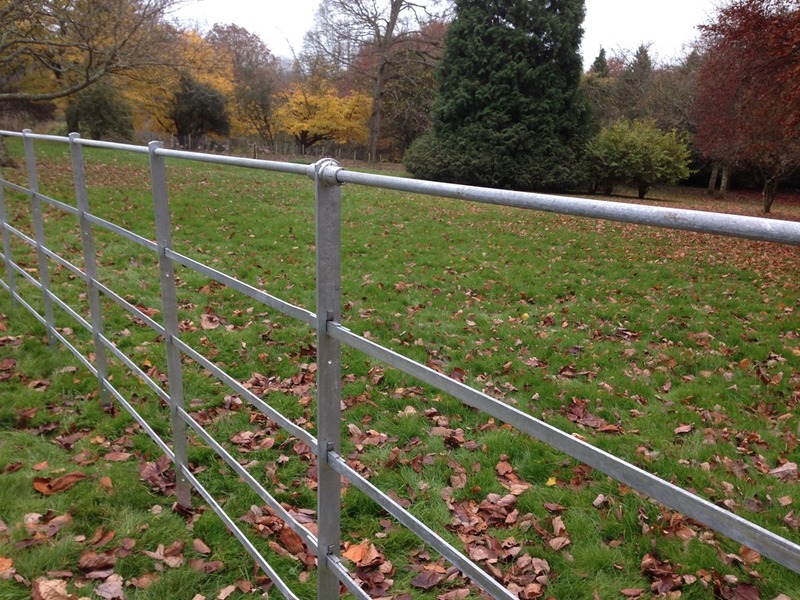 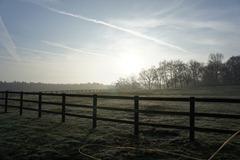 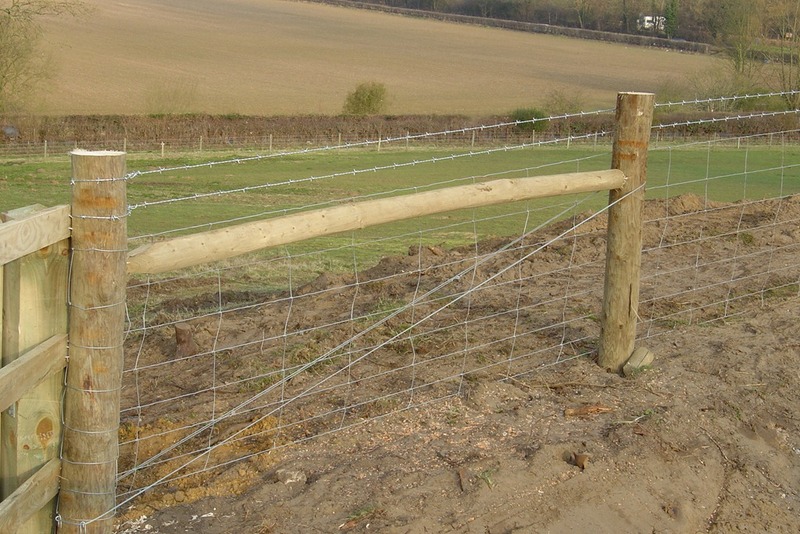 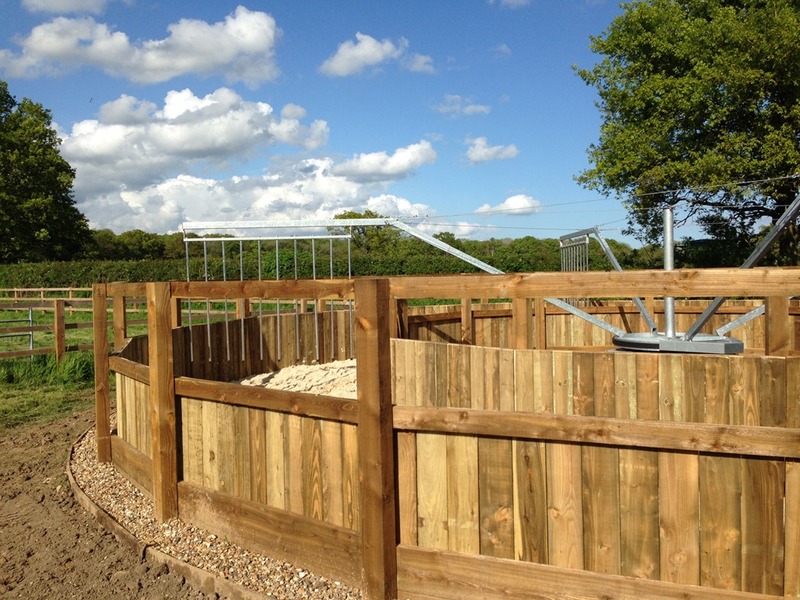 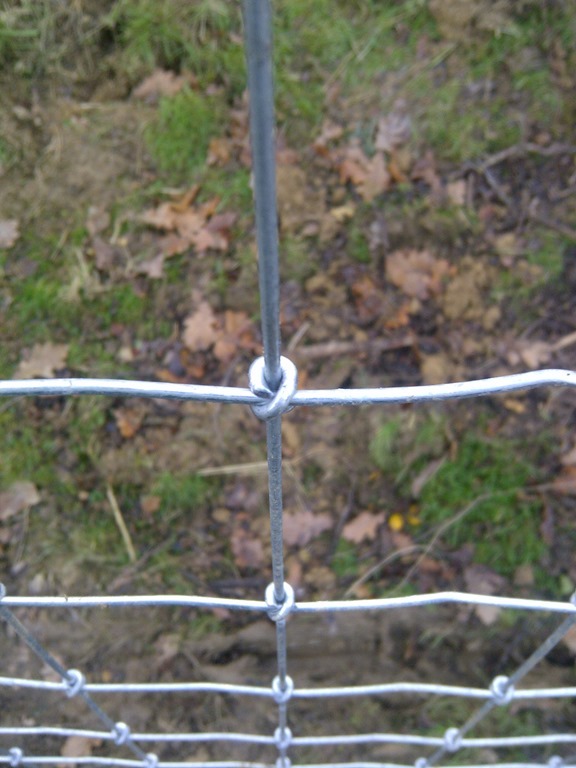 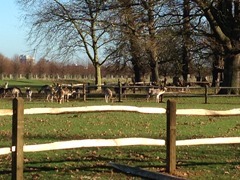 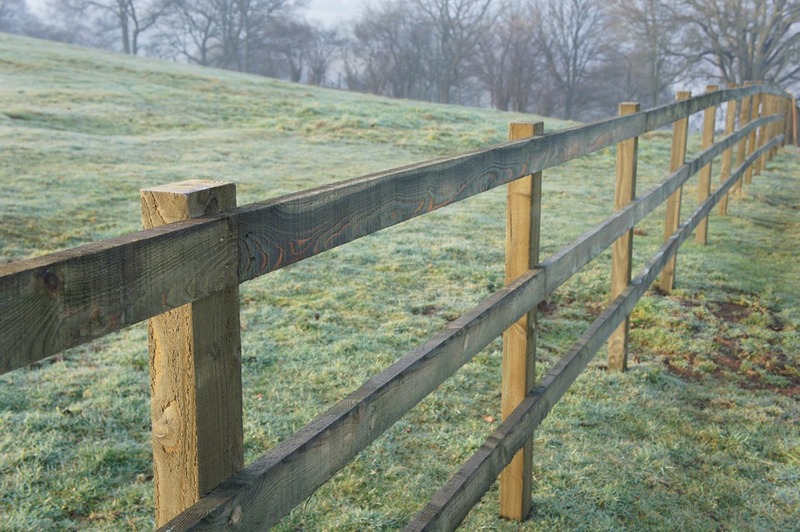 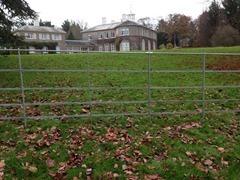 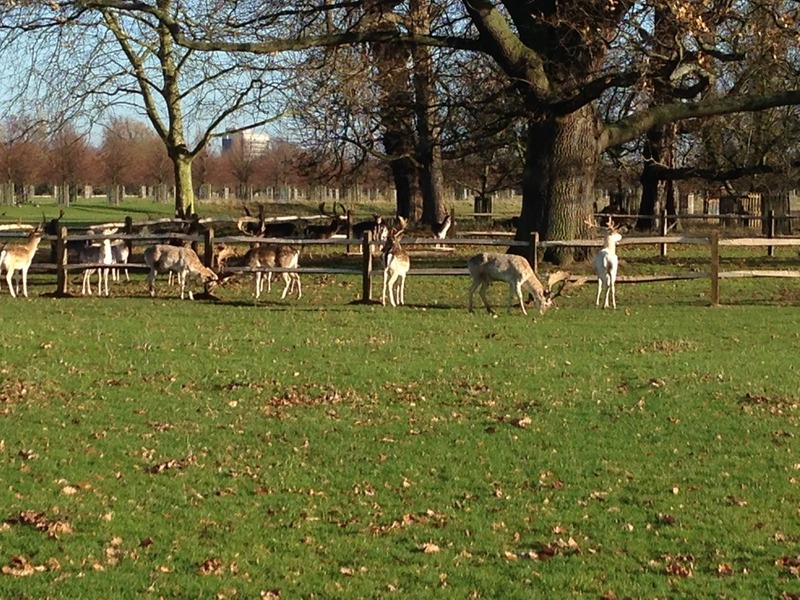 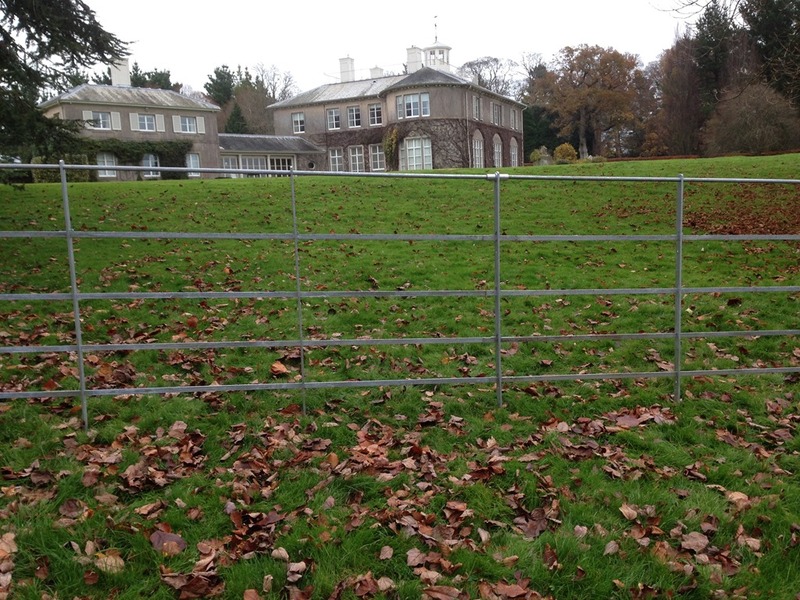 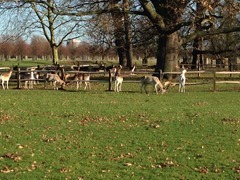 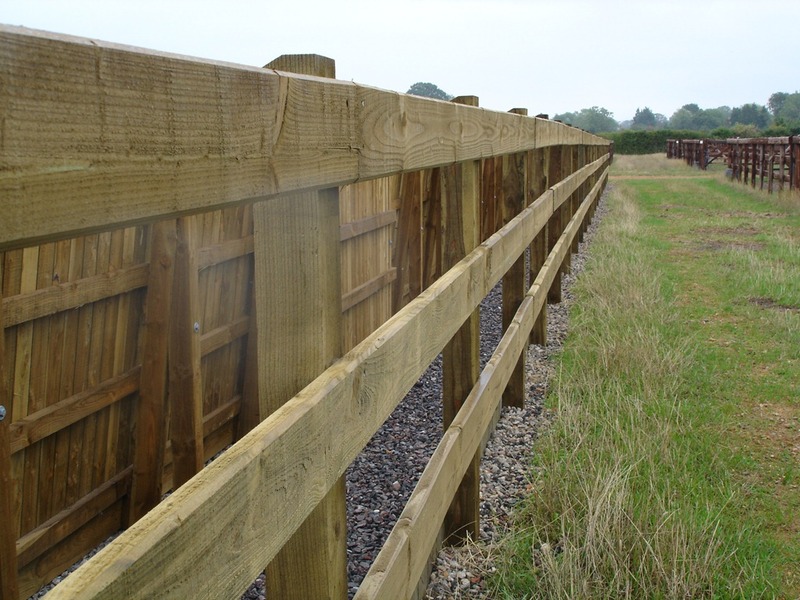 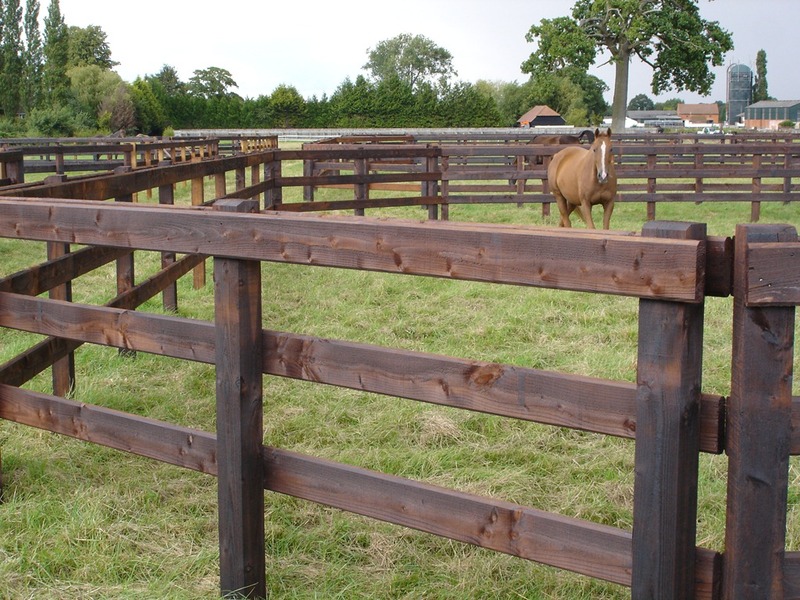 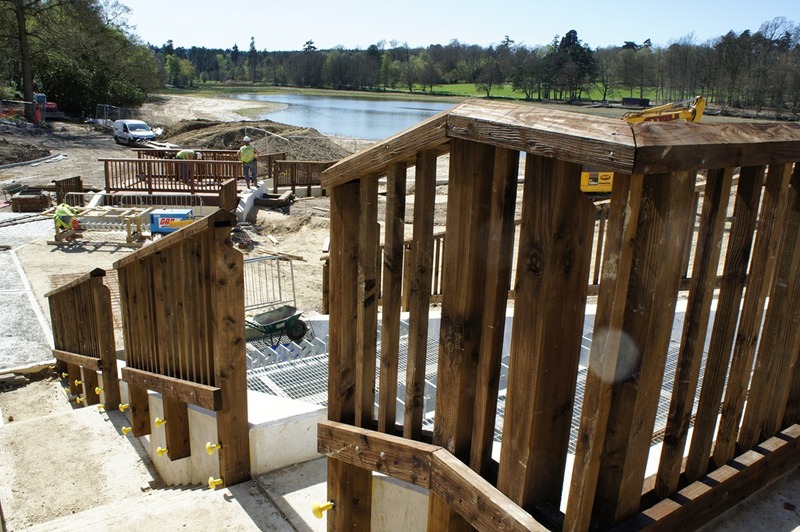 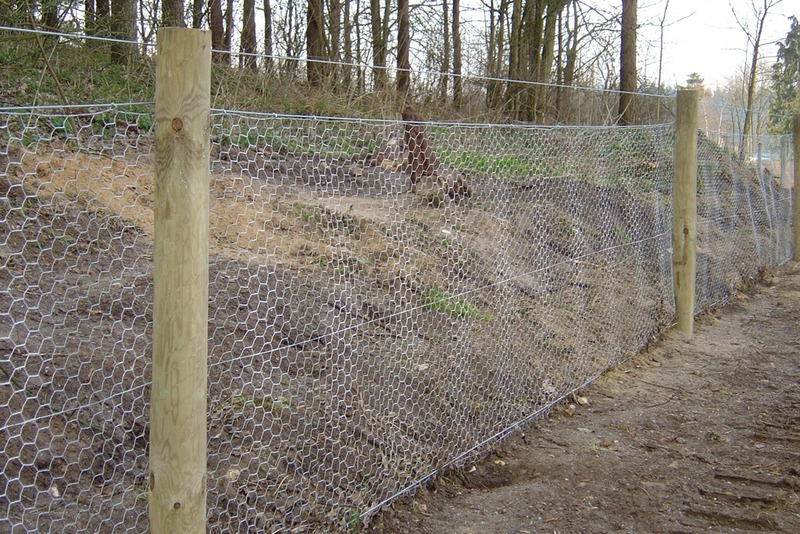 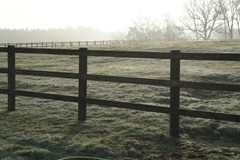 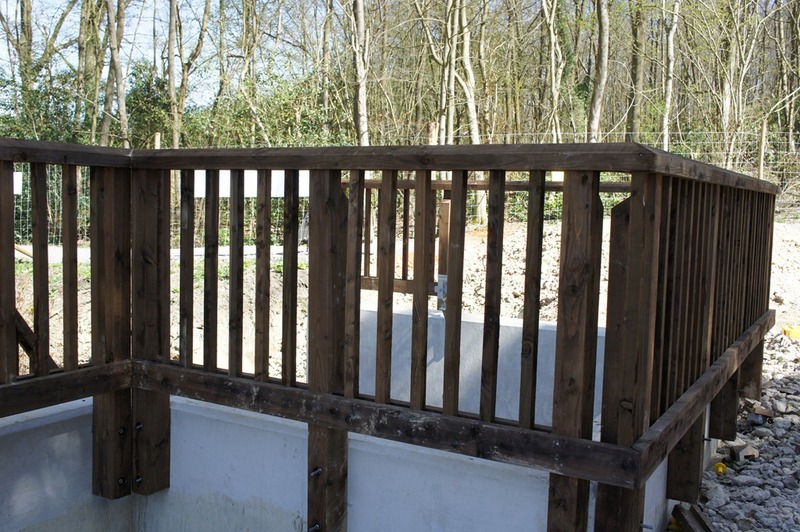 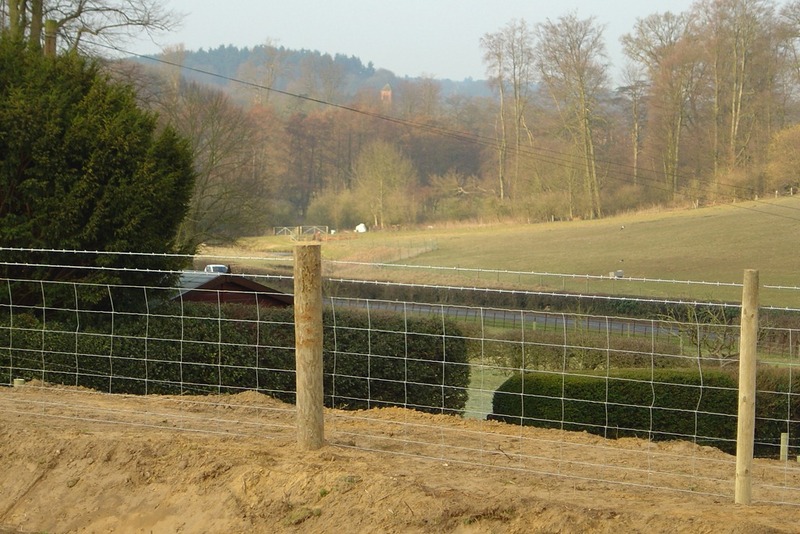 Part of a major civils scheme, our involvement included a large amount of handrailing and deer fencing. 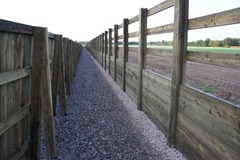 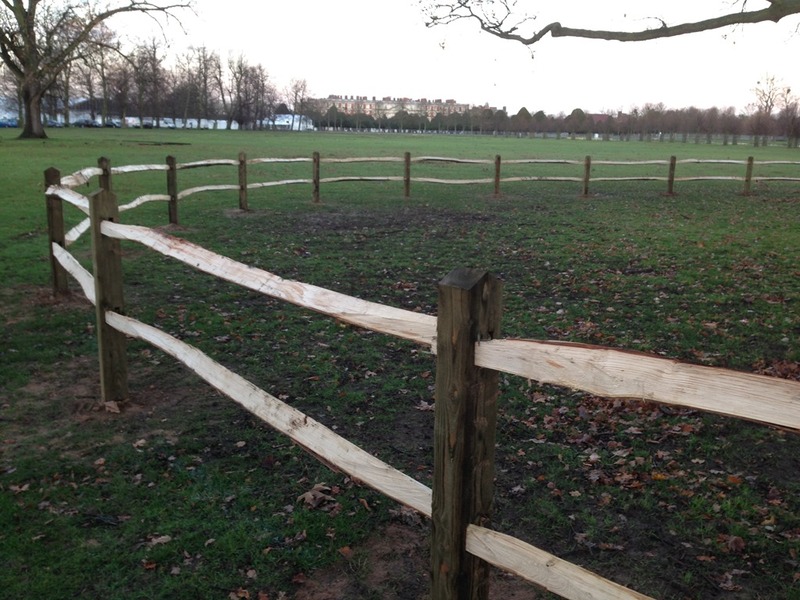 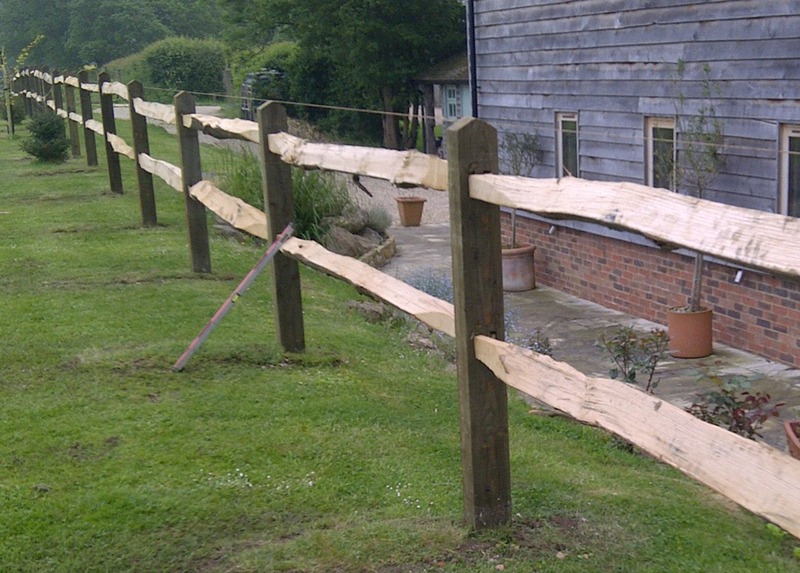 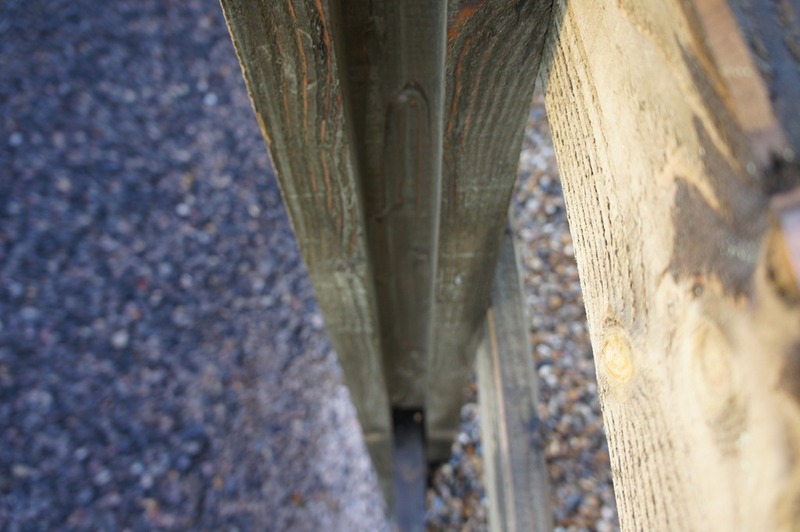 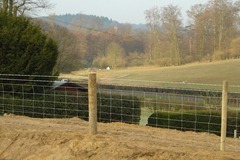 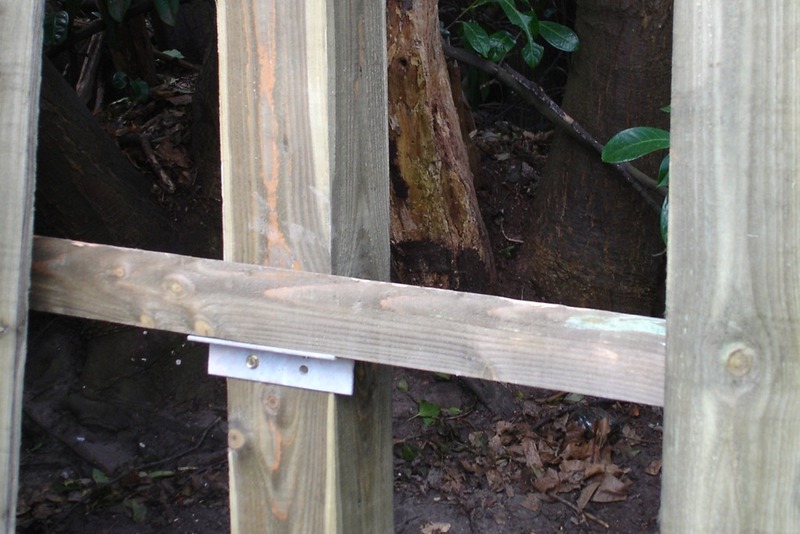 Posts were fixed to walling with resin fixed threaded bar. 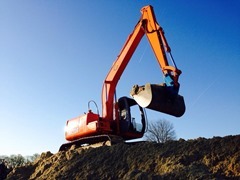 Reaching where others cannot, this combination of excavator and flail works brilliantly. 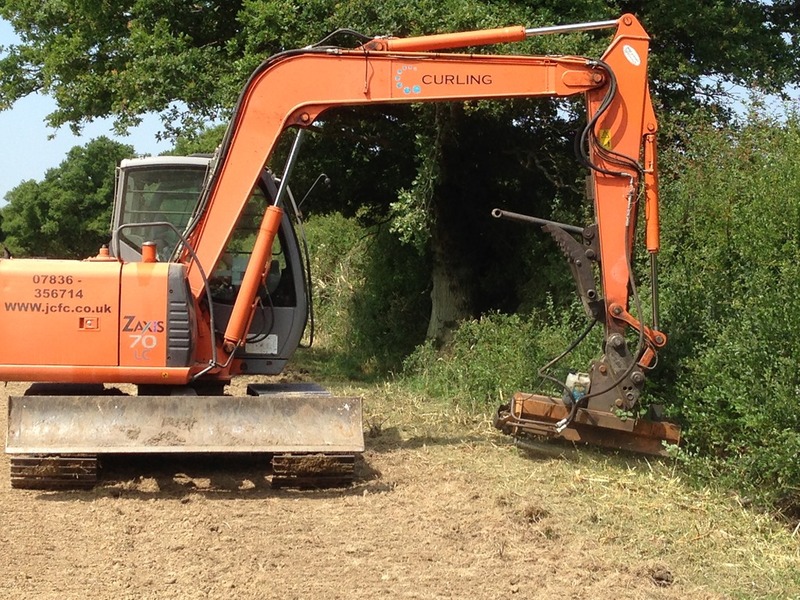 ZX70 with flail knocking back heavy bamboo growth.